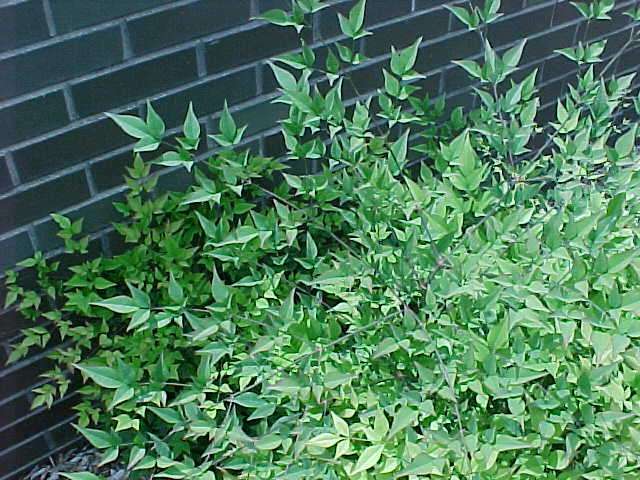 This is a slow growing, globose form with deep green foliage. It is easily pruned to maintain a formal look in your garden. 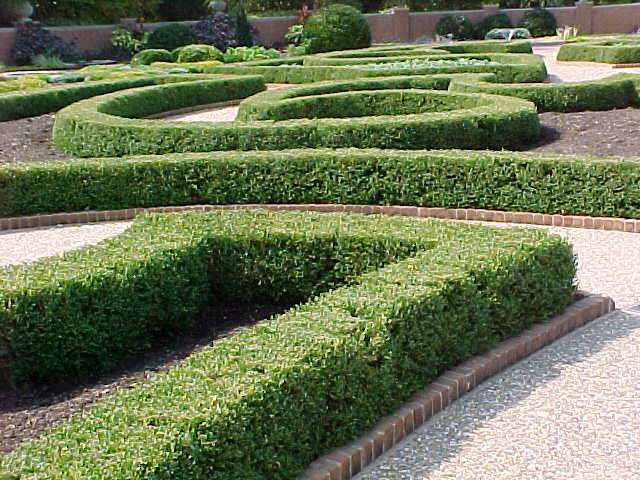 Excellent for providing your “clipped box” hedge appearance that can be used both as a hedge and singly. This is truly a garden gem for the formal evergreen look you desire in your garden. Deer resistant as are all Buxus species. 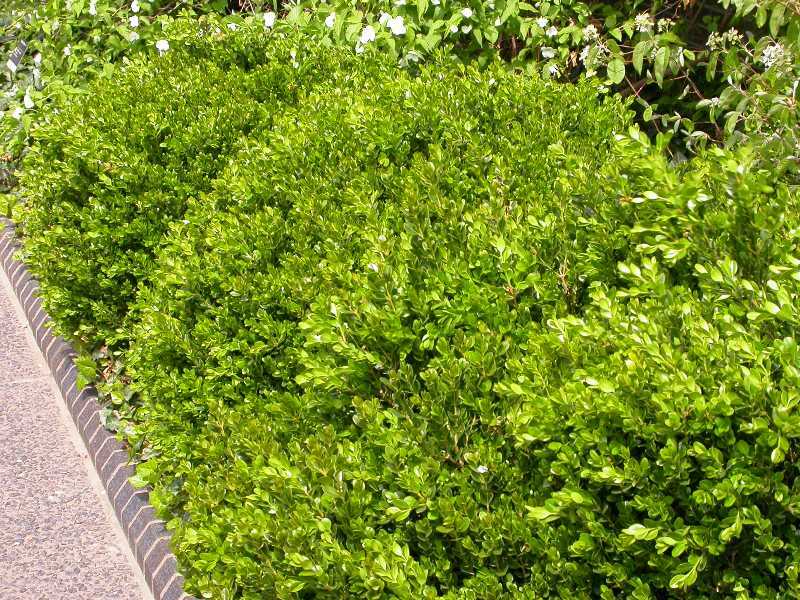 This is an attractive, compact evergreen shrub that is easily pruned. It is very heat tolerant, but not for wet conditions. 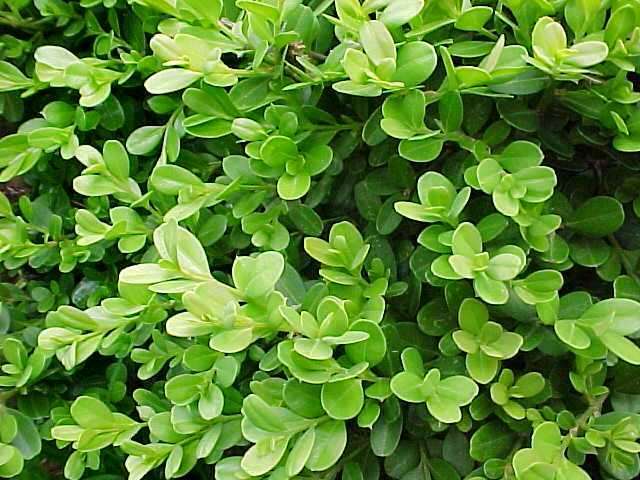 It provides a dwarf, mounding habit in your garden and is deer resistant as are all Buxus. A good choice for a small leaved boxwood. 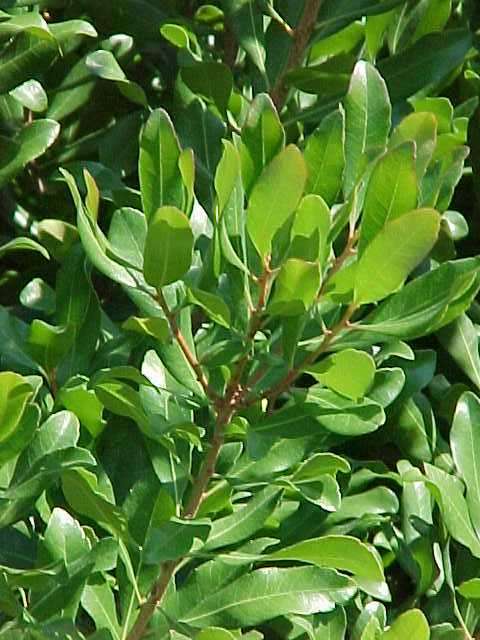 It is evergreen and compact and has dull green colored leaves that usually turn purplish brown in winter. 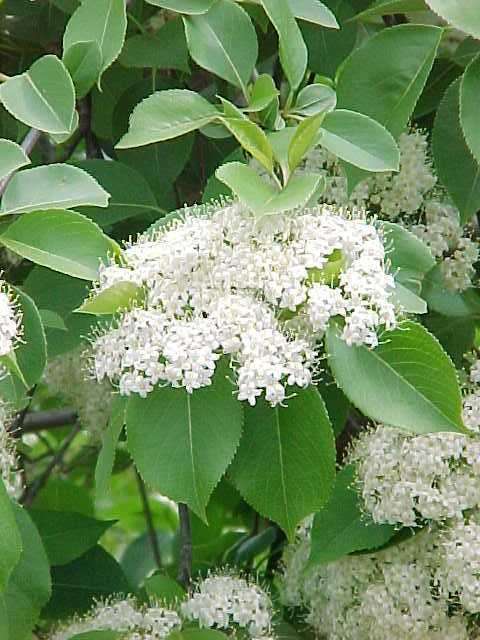 It is truly cold hardy in the Midwest and takes pruning easily to maintain the plant either as a hedge or singly in your garden. It is deer resistant as are all Buxus. 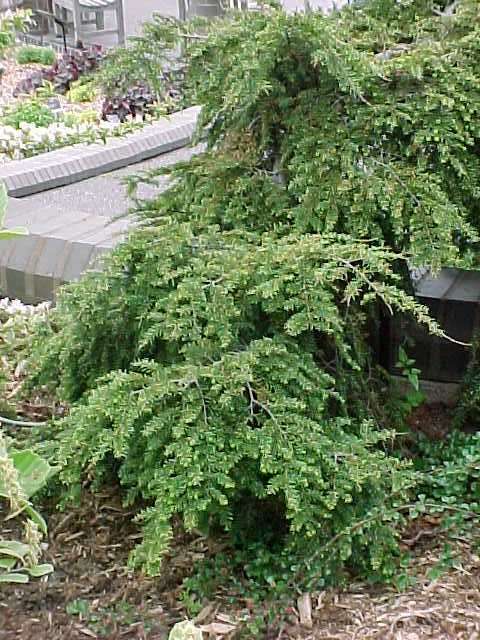 A broad-leaved evergreen growing slowly with a compact, rounded habit. 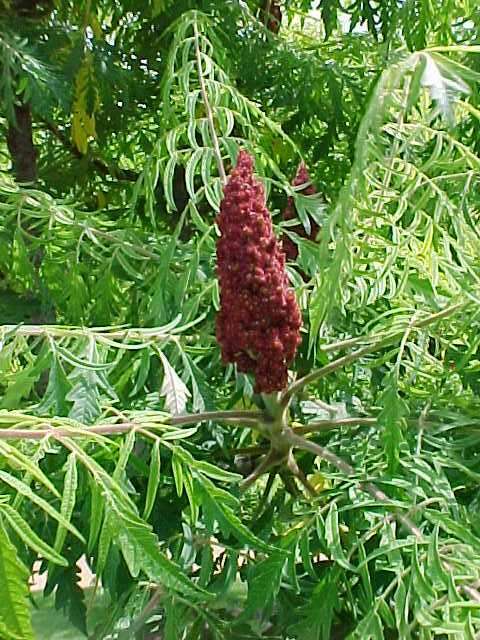 It is very tolerant of a wet planting site, heavy clay soils and pollution. Use it in a full-sun area as well as a light-shaded area. I have found it to be a tough urban plant. 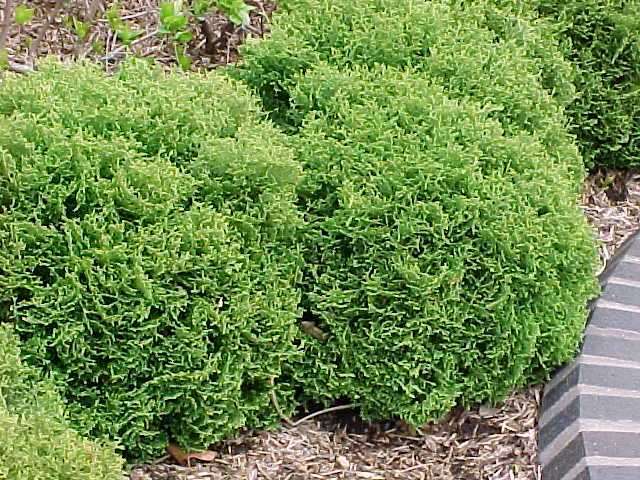 A great addition to your broad-leaved evergreen choices for foundation plantings, hedges, or used singly in your landscape. This male plant should be planted for pollination of CHINA GIRL. 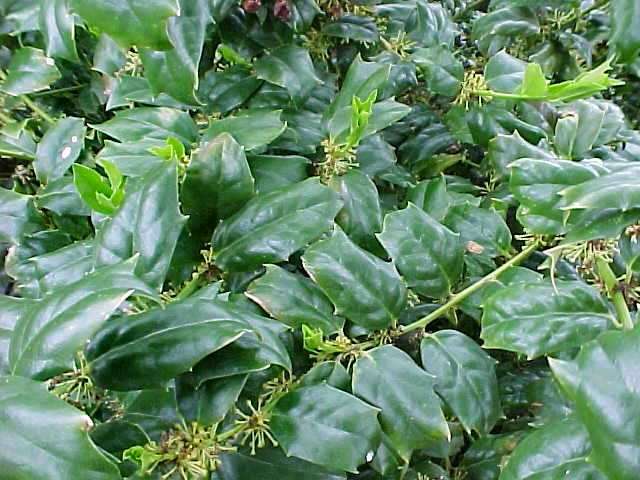 One of the most trouble-free evergreen hollies. A great substitute for yews. They truly have lustrous and rich green foliage. 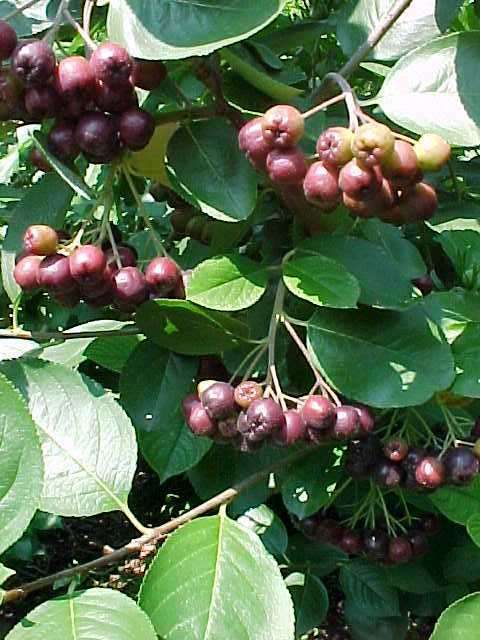 A great addition to your broad-leaved evergreen choices for foundation plantings, hedges, or used singly in your landscape.The female provides attractive fruits. Plant CHINA BOY as a pollinator to get fruit. One of the most trouble-free evergreen hollies. A great substitute for yews. Truly has lustrous and rich green foliage. 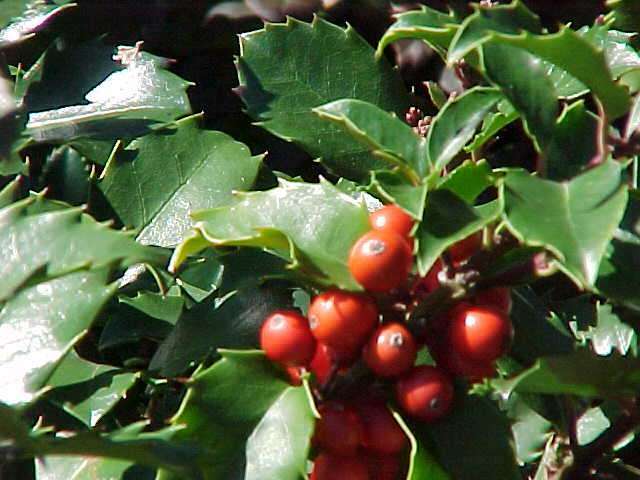 I love this holly for its attractive blue-green evergreen foliage. It is wider shaped than China Boy and China Girl. Plant this male pollinator to get fruit set on BLUE PRINCESS. A great addition for a year-round foliage interest. 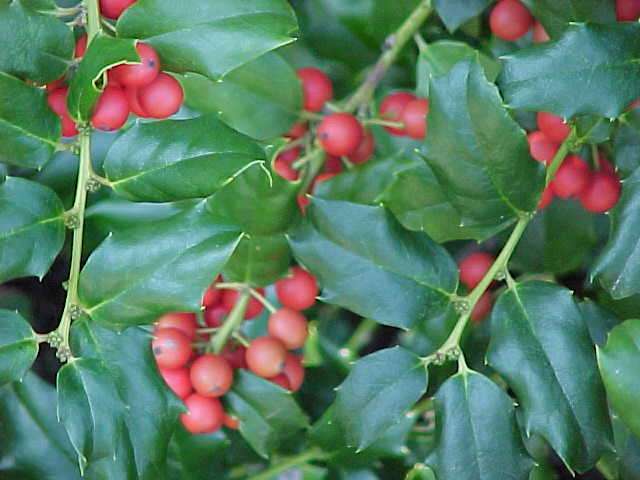 This is a great holly for attractive blue-green evergreen foliage. It is wider shaped than China Boy and China Girl. The red fruits provide a great color addition in the landscape. 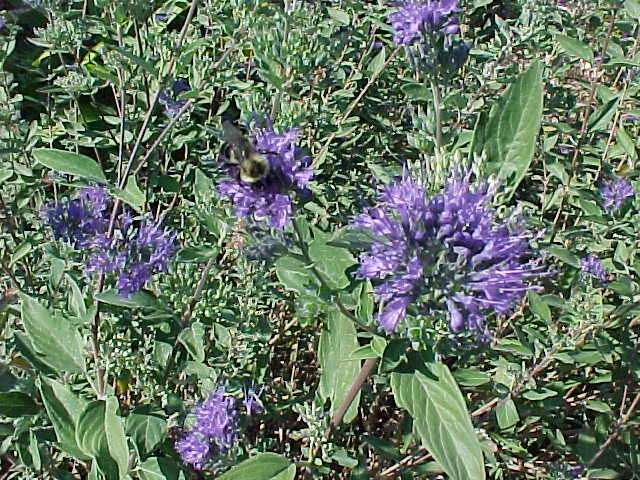 Plant BLUE PRINCE as a pollinator for fruiting. A great addition for year-round foliage interest. The rose flowers are held against glossy green foliage in spring that turns to deep-red tints in fall. It has been a very vigorous grower for me and has an upright growth habit. Another in the Girard Series that is extremely hardy in St. Louis. I love the vivid purple flowers on this Gable hybrid. It is one of the most hardy for our climate. The 4’ x 4’ size fills an evergreen area in your landscape. Excellent for the cold winters in northern gardens. I love its reliable large white flowers for a spring show. 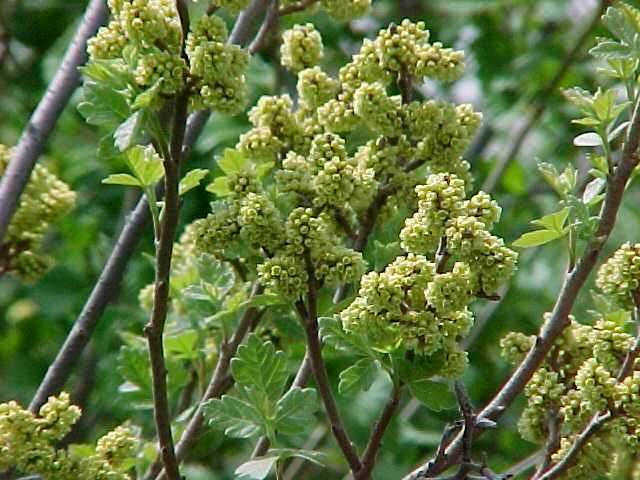 The Girard Series is excellent for northern gardens since the flower buds are cold-temperature tolerant of our winters. 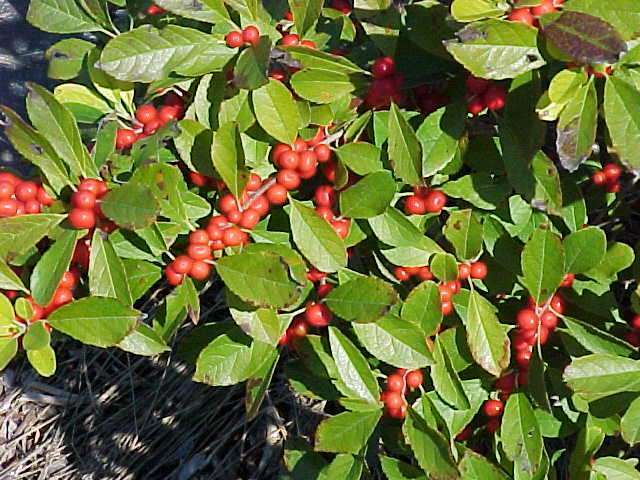 Has a pleasant fall color and the evergreen foliage adds year-round interest. The brick red color will light up your landscape. The foliage is dark green in summer and turns wine-red in winter. 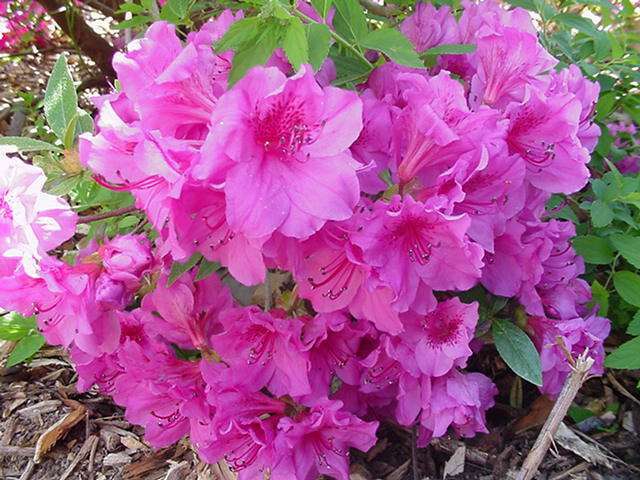 This azalea is a Gable Series selection and performs well in the Midwest winters. 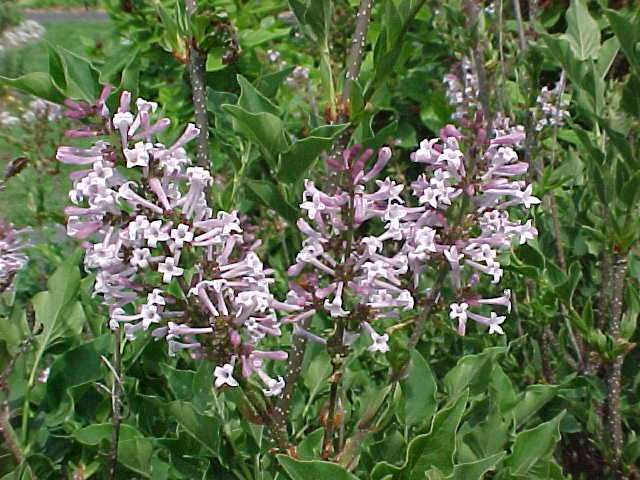 This is a semi-evergreen shrub when planted in a protected area in our landscapes. The glossy foliage is a great compliment to the rose-purple flowers. This may die back to the ground in northern climates, but grows back quickly. 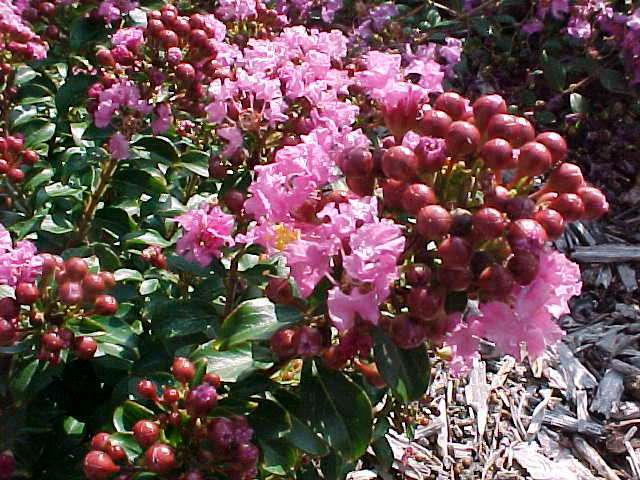 Very attractive shrub when in bloom in the spring. The white flowers appear before the foliage in the very early landscape. Attentive pruning needs to be addressed for the shrub's border appearance. 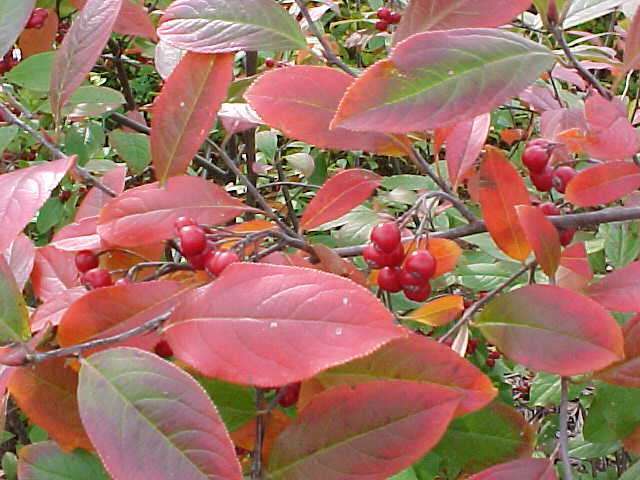 The lustrous foliage with the brilliant fall red color is the highlight of this shrub. It is highly valued for the wide range of soil conditions it can be planted in. Will sucker in time, but the spreading, upright habit makes a natural hedge. 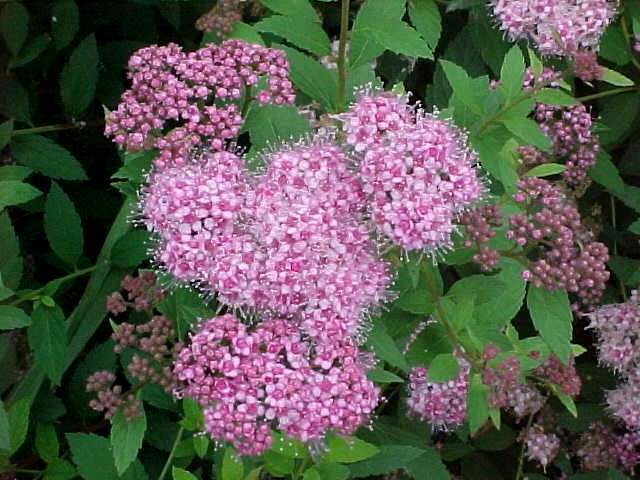 I find this plant very versatile because it can grow in sun or shade, wet or dry situations. 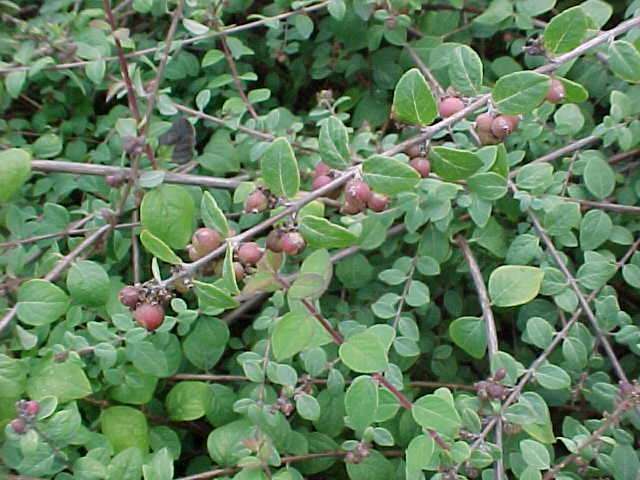 The black chokeberry is smaller in habit than A. arbutifolia. 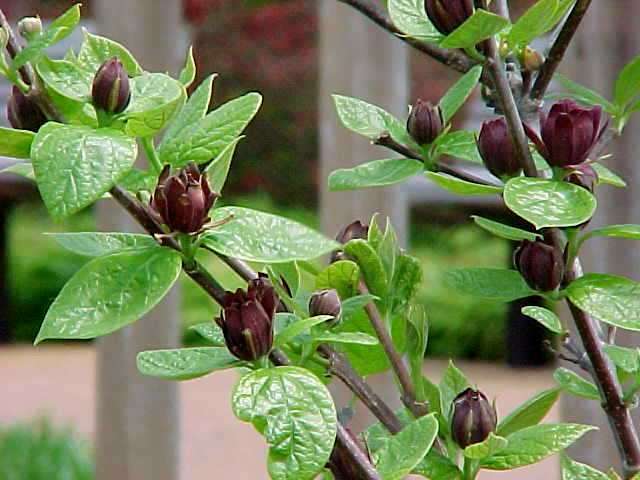 You will enjoy the glossy foliage in the landscape. 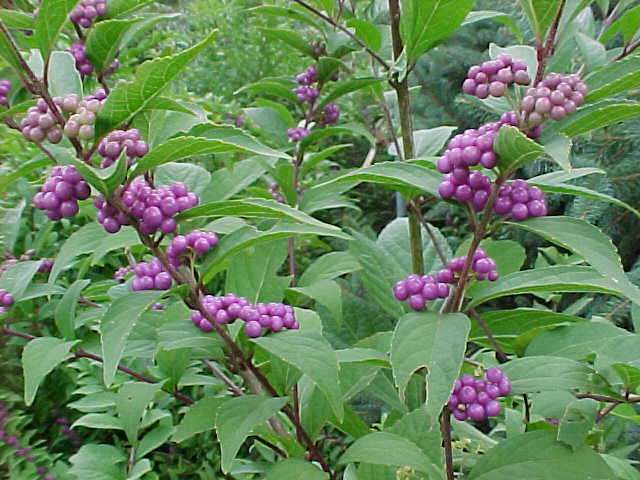 A widely adapted plant, but you will need to plant this purple form in full sun for best color. This is considered a barrier shrub in the landscape. Barberries are tough shrubs for landscape situations. 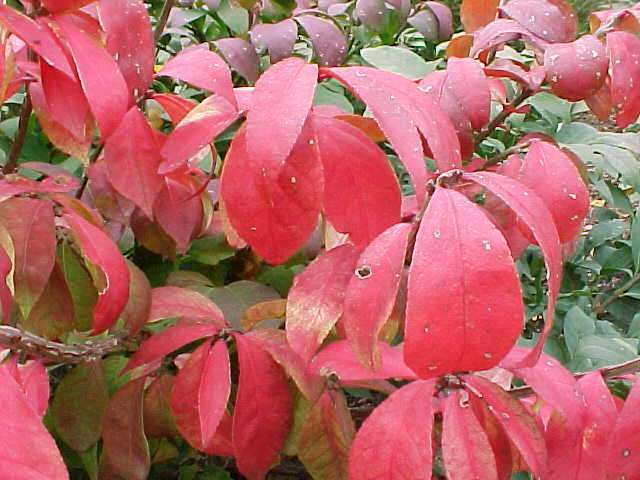 This is a dwarf form of Berberis thunbergii ‘Atropurpurea’. Plant in full sun for best purple color in the foliage. This plant is broader than high in the landscape. The purple foliage proves quite attractive. 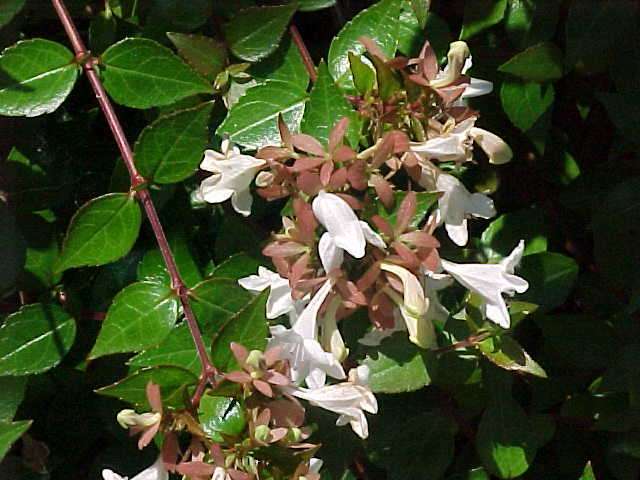 The distinct feature is its variegated (white, pink, rose) foliage that turns deep red-purple in full sun. It is extremely hardy and quite adaptable in full sun. 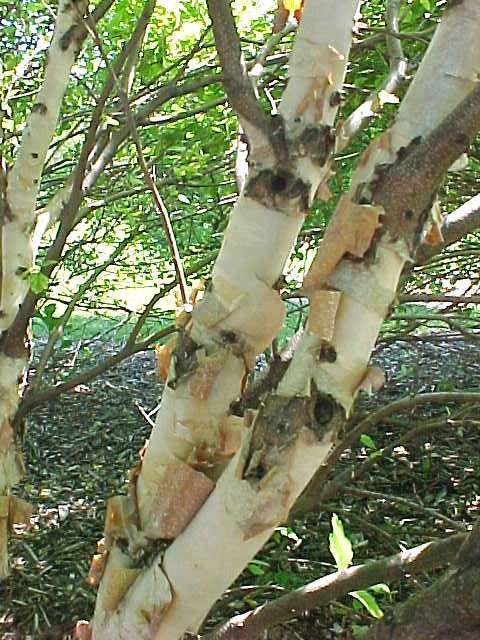 This is a large shrub form of the native river birch, which I also recommend as a tree. The multi-branching provides interest in the winter landscape. The bark is brown to pale tan and with the addition of the peeling and curling bark becomes quite intesting. 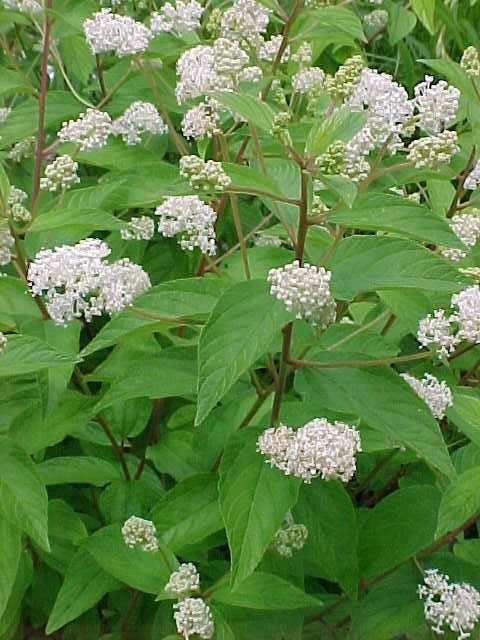 This is a native herbaceous shrub. It needs yearly pruning to perform best in the landscape. It produces large fruit which are quite showy in the landscape. Give some room for the naturalized shape it requires. 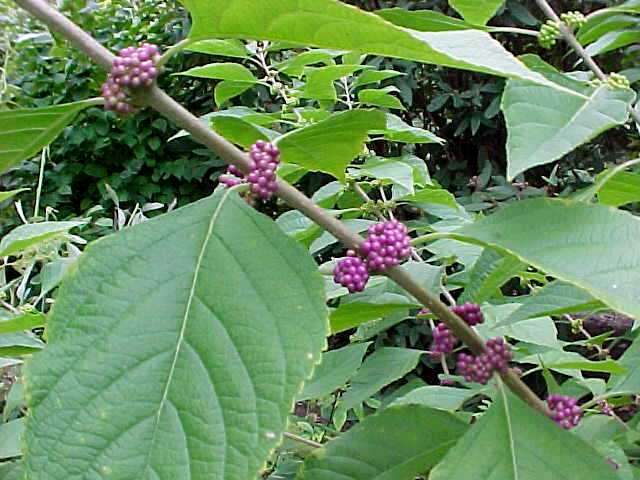 This purple beautyberry grows gracefully and is refined. The branches eventually arch and touch the ground. I think it is best planted in groups. 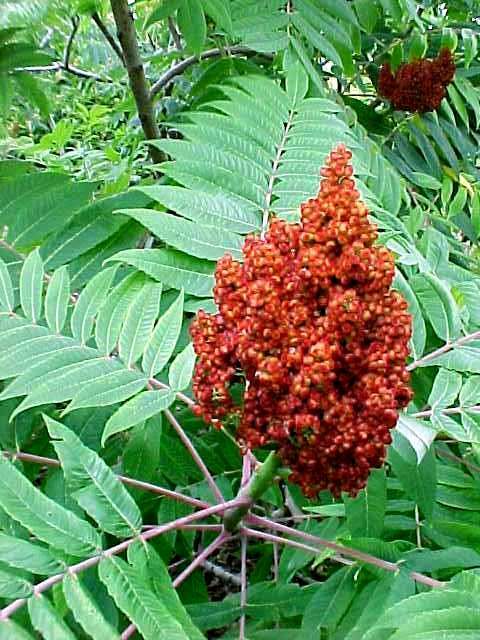 The fruit ripens in late August and provides late-season interest. 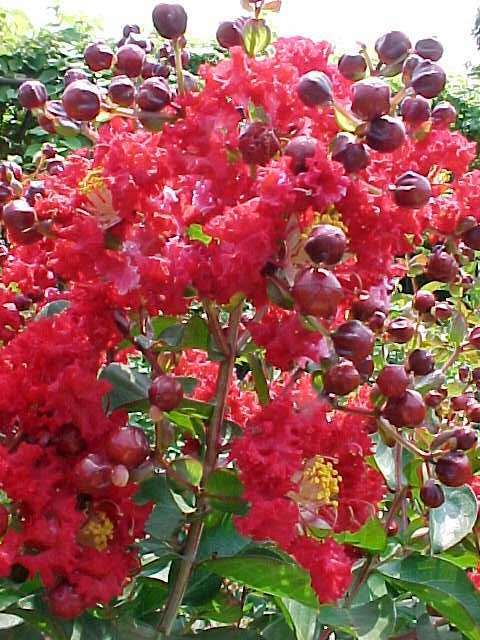 Plant sweet shrub close to an entrance for the strawberry to banana to pineapple fragrance of the flowers. It has been known since Colonial days so plays a part in an heirloom restoration landscape. This is larger than the species so site it accordingly. 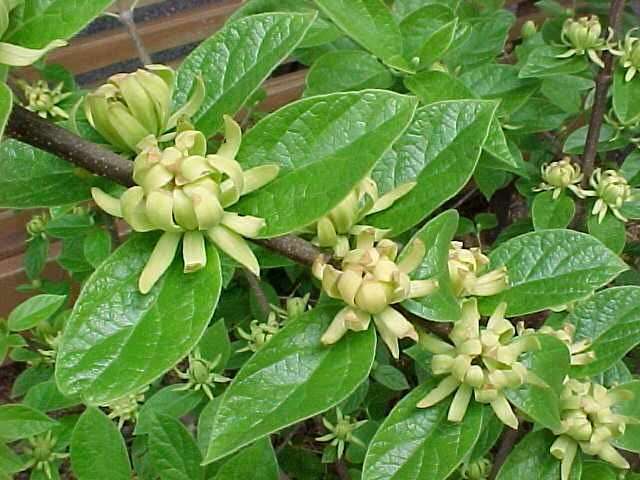 The yellow-green flowers are extremely fragrant so it is a must to plant it by an entrance or close to a path. I love this prolific bloomer. The deep blue flowers mix well with the silver-gray foliage. The long bloom time is a highly desirable trait. The branches die back in winter so prune severely in early spring. Butterflies are attracted to the plant. Bluebeard shrubs are light and airy in the landscape so I use them often in my garden designs. 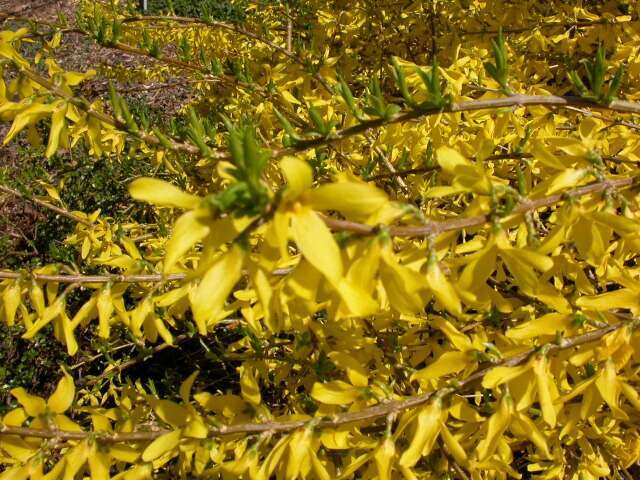 This cultivar has yellow-gold foliage that is an added feature along with the blue flowers. The bluebeard shrubs bloom on new wood so cut back in spring. 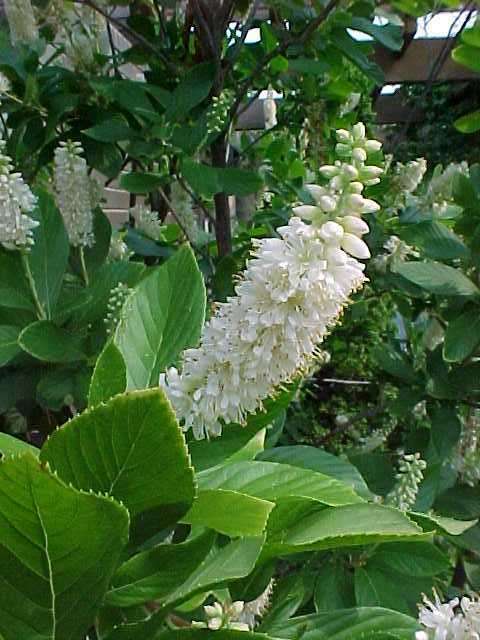 The New Jersey tea is a rather handsome plant in the landscape. I find it useful in that it can perform well in poor landscape situations. The June to July flowers are white and add interest to the mid-summer scene. It has nitrogen-fixing attributes. It is a native plant for the Midwest landscape. 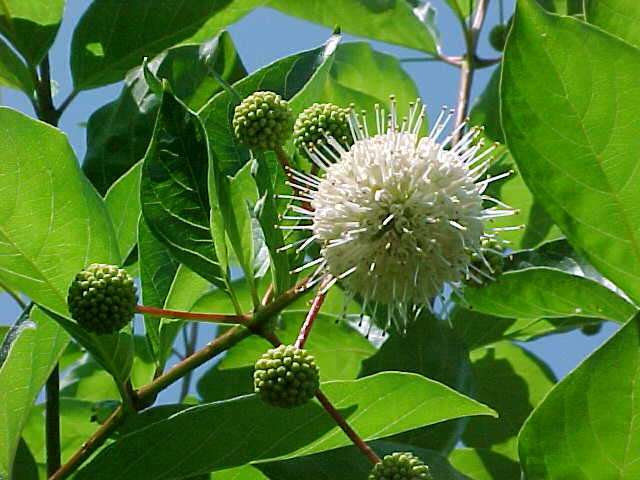 The buttonbush is best planted in wet locations, but this can be a real asset in many landscapes. 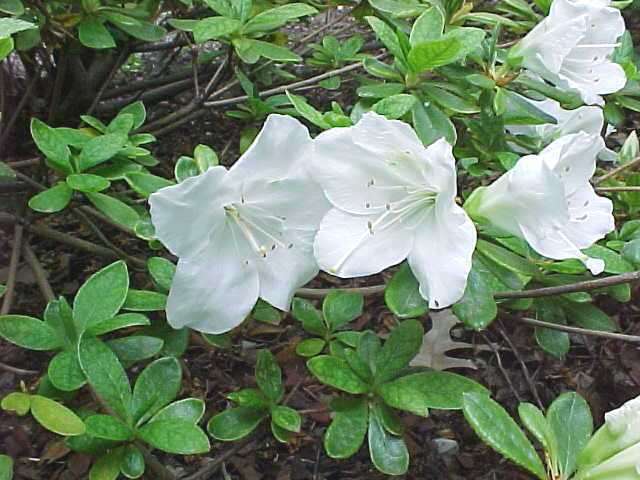 The June to July rounded, white flowers are welcome at that time of the year. Give the buttonbush room in the landscape. 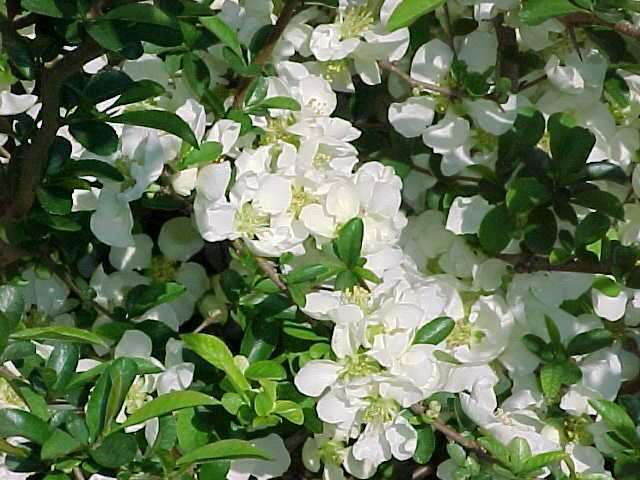 I recomment that you give the flowering quince full sun in the landscape. 'Jet Trails' is a white-flowered sport of ‘Texas Scarlet’. The 3’ by 3’ size fits smaller spaces in the landscape. The spicy fragrant flowers are a bonus in the landscape. They come late in the summer and occur over a 3- to 5-week period. I recommend that you plant it in groups of three or more to make a great impact in the landscape. This cultivar of summersweet is 4’ by 4’ in height. This mid-size offers a unique value in the landscape. The fragrant flowers appear in July to August. 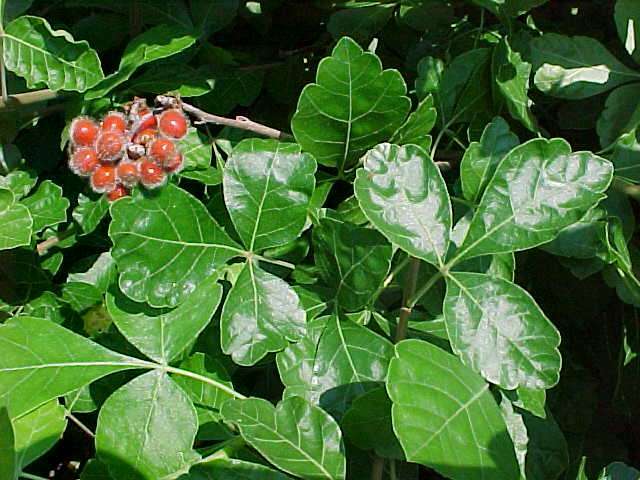 Place this plant in a location where the orange-red stems are highlighted in winter months. A wet location is also desirable for this seedling to prosper. A mass planting will prove most beneficial as well as annual pruning. I like to use the yellow-colored stems for a great winter accent. 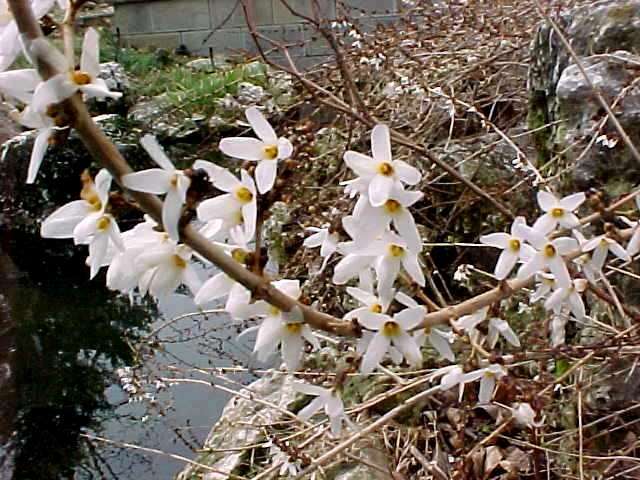 Use this genus singly or massed in the landscape. The best yellow color is obtained by annual selective pruning. 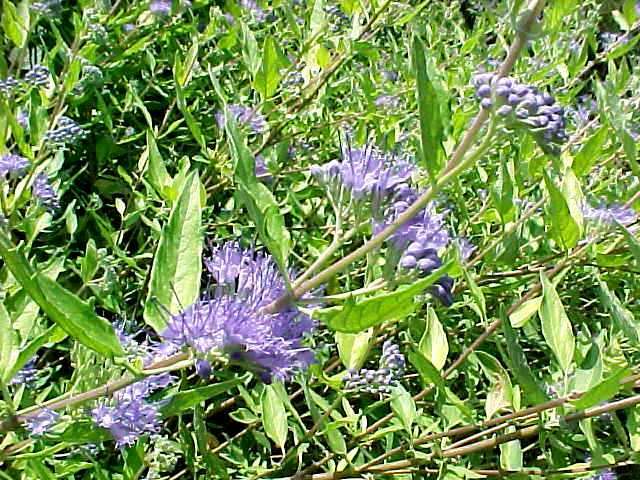 The blue-green foliage of this plant is most attractive. 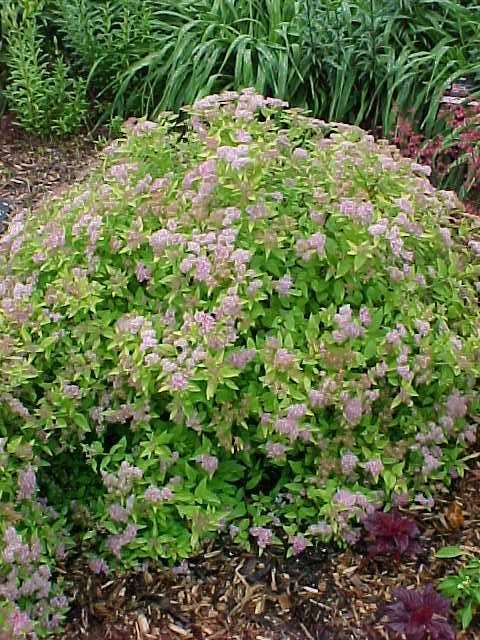 It forms an open shrub in the landscape and needs ample room. 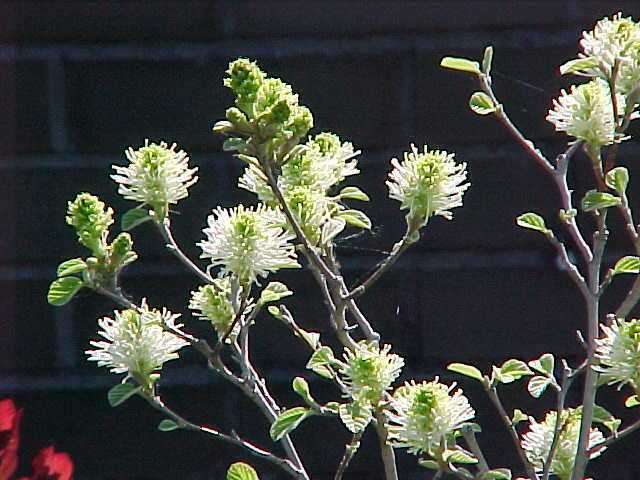 The loose, open foliage mass is given a smoky appearance by the plumose hairs borne on the sterile flowers. I find it gives a great effect to late summer landscape. The purple foliage provides a great focal point in the landscape. You will find that these purple forms are best enhanced by yearly pruning. The smoky flowers are outstanding against the dark foliage. Best performance on this plant will be in full sun. 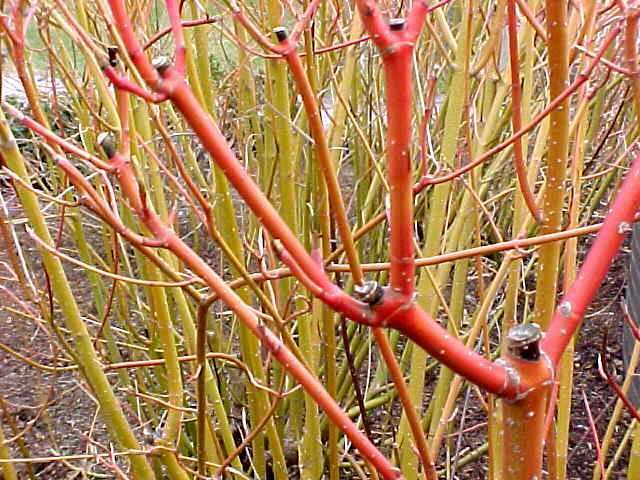 Do regular pruning each year to remove old stems and maintain the plant’s form and vigor. 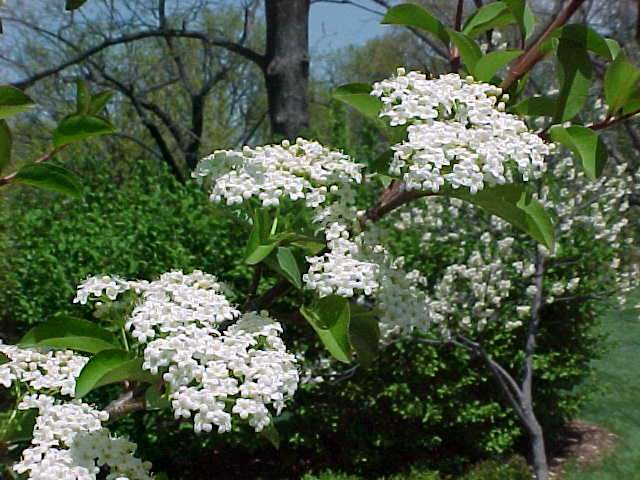 This cultivar grows 2’ by 2’ and has a dense form with a purplish color in fall and wonderful white flowers in spring. This is a more compact form than the cultivar ‘Compactus’. It reaches a 4’ by 5’ size so this should definitely become a staple in the landscape. The red fall color adds to the fall color scene in the landscape. This is a true harbinger of spring, and only grows 3’ by 3’ in size. The smaller space in the landscape requires much less pruning compared to the larger cultivars. The mounded form is a contrast to the upright, larger cultivars. Place in a smaller space than most forsythia. The fragrant, creamy white flowers are bottlebrush shaped. 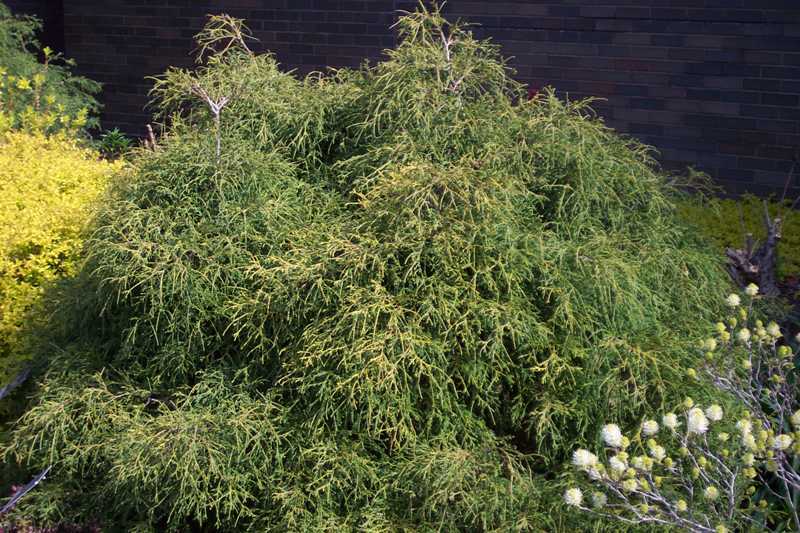 This is one of the most trouble-free shrubs I know. All four seasons are highlighted by this plant in the landscape. This cultivar differs from the species in having bluish foliage. The flowers are fragrant. The fothergillas are seldom in need of pruning. Great to use as a specimen or in a grouping. This is a great native plant for winter interest. The flowers are smaller than the Asian species hybrids. A woodland garden should not be without this species. 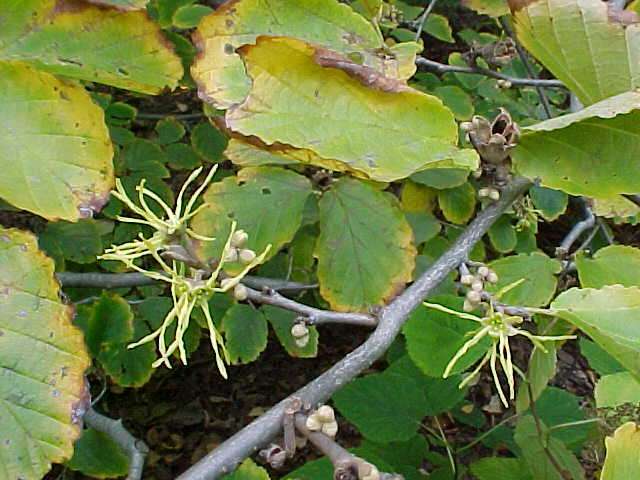 The common witch hazel is a favorite for the landscape for its late season yellow, fragrant flowers. 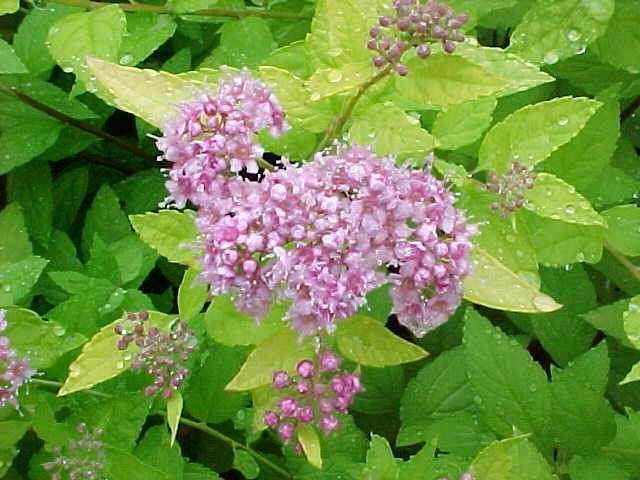 This plant is relatively trouble-free and the late flowers occur as the foliage is falling. I like to use this plant as a specimen plant in the full sun. 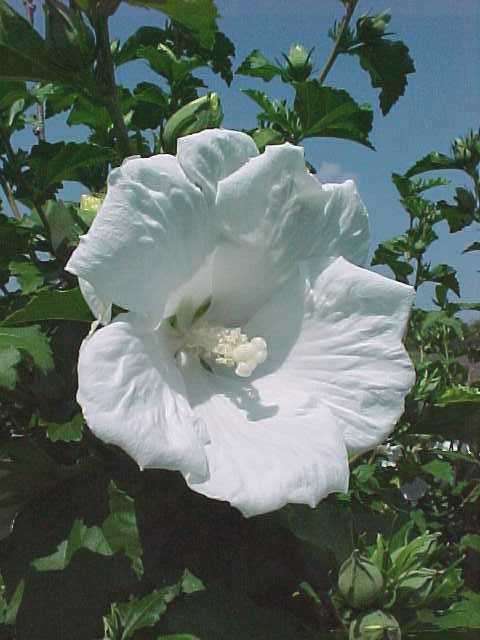 This cultivar has very large white flowers that are long-lasting. The sterile flowers are welcome in the landscape and occur all summer. 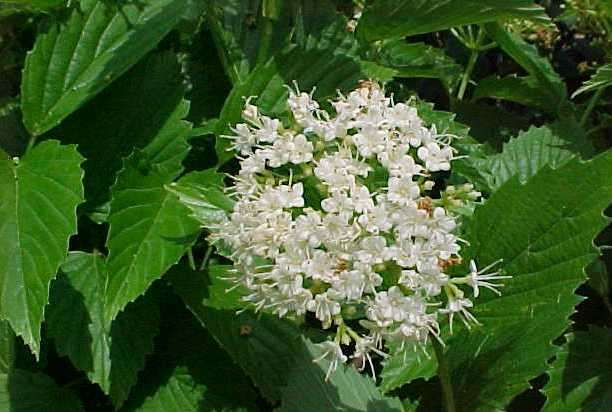 This native plant is relatively trouble-free in the shady landscape and woodland gardens. 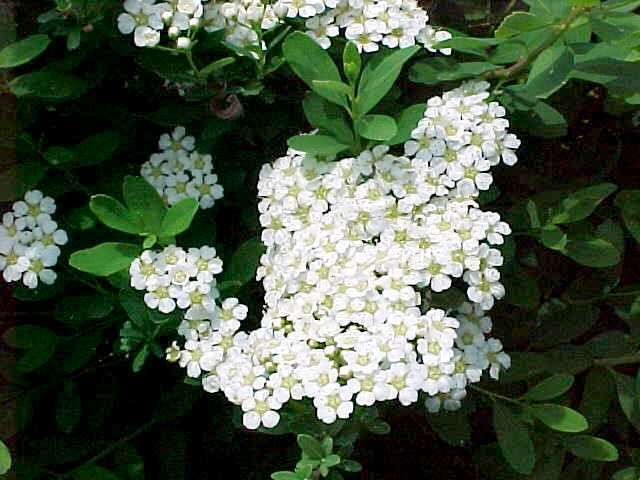 The white flowers are showy in early to midsummer and light up the shade. 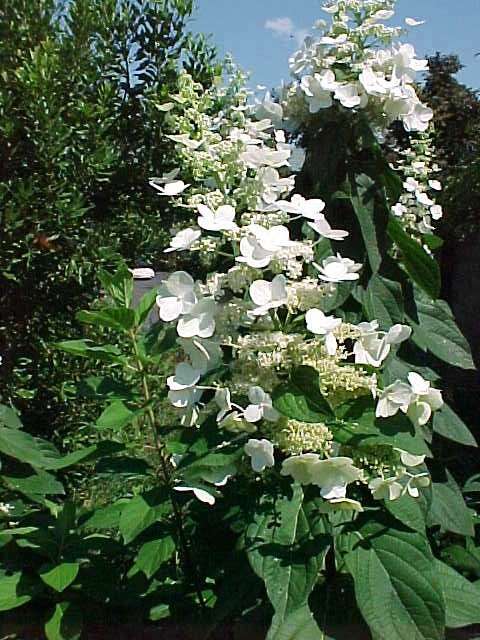 The white panicle flowers are smaller than the species which can make it useful in home landscapes. It can be planted in full sun. 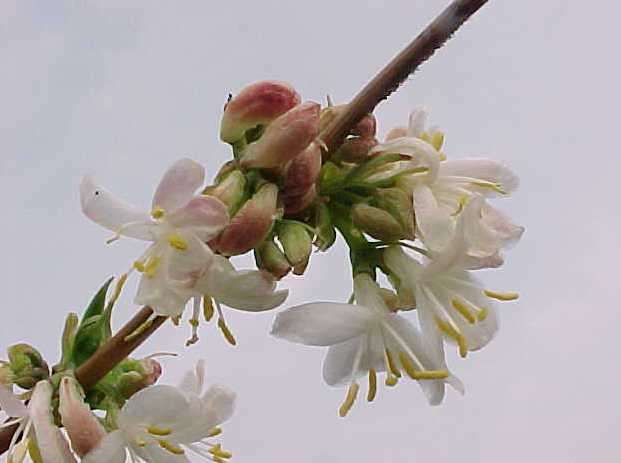 It flowers late with white flowers that turn pinkish in summer. 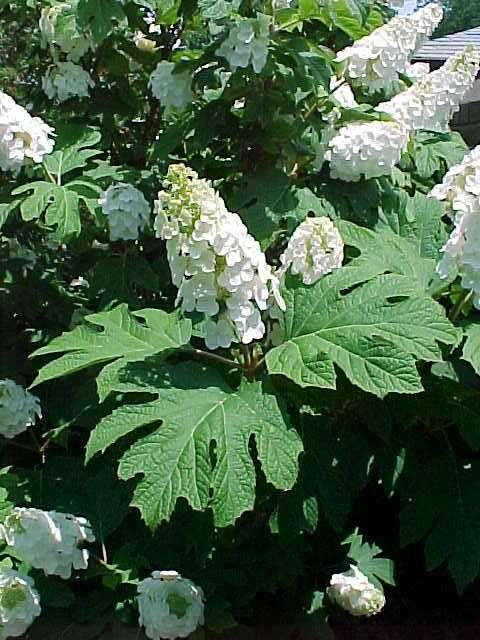 I find the oakleaf hydrangea can be used singly or massed. This is a four-season plant with all seasons highlighted. The fall color is enhanced if you plant in more sunny areas of the garden. The winter interest is fulfilled with the tan-orange exfoliating bark. 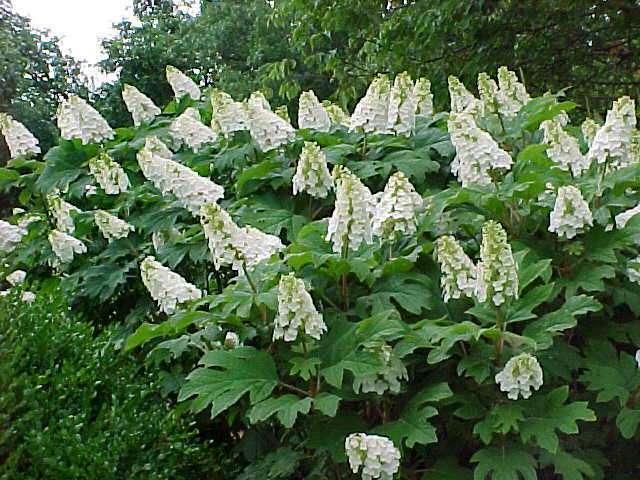 I like this cultivar of the oakleaf hydrangea for its beautiful white clusters or panicles of sterile flowers held erect above the foliage. The fall color is enhanced when grown in full sun. The bark is tan-orange during the winter months. A place can always be found for the oakleaf hydrangeas. 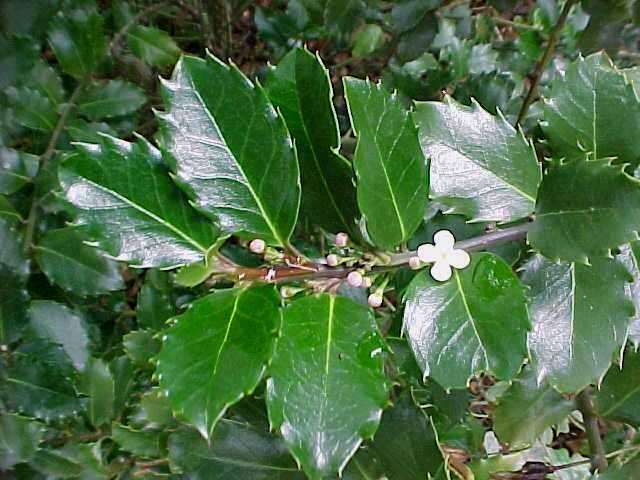 This male deciduous holly is used for pollinating several early flowering cultivars. ‘Red Sprite’, ‘Cacapon’, ‘Afterglow’, ‘Aurantiaca’, and ‘Christmas Cheer’ are among those pollinated by this cultivar. Place in the background of the female deciduous hollies and one will never know it lacks berries. The best small deciduous holly. The small size adds winter interest with the red berries. The fruit is extremely large and best produced when grown in full sun. Place in the landscape where winter effects are best appreciated. This cultivar has larger flowers than the species. The red fall color is around late into the fall as the leaves persist well into the month of November. 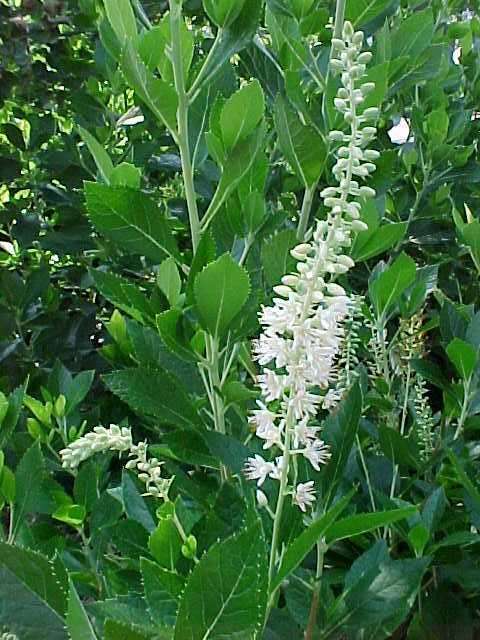 The long arching white flowers are attractive against the foliage. A wet location is best for the plant. 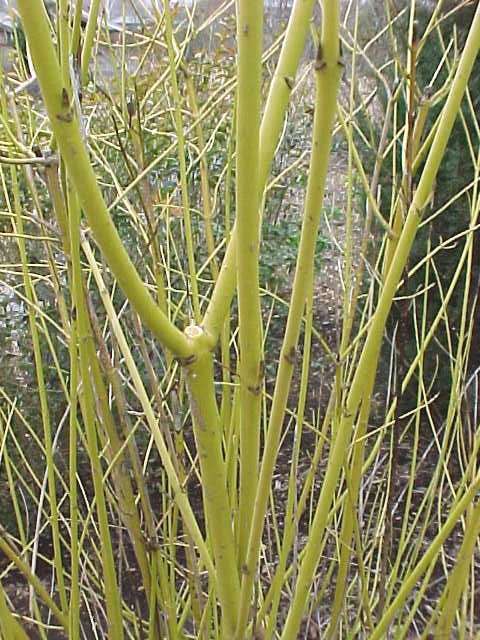 The winter interest of this plant is highlighted with the green zig-zag stems. Use these for cutting during the winter months to bring inside. 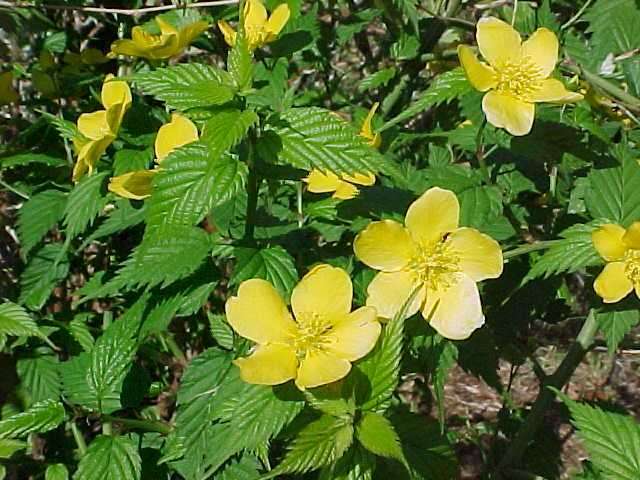 The flowers are bright yellow if the plant is located in bright shaded areas. This is a great small crape myrtle for the landscape. The compact form is a welcome addition to a perennial border. The flowers are produced on new wood each year. The new cultivars flower until frost. I find that the cherry-red color of this cultivar is brilliant in the perennial or shrub border. The flower period starts in mid summer and continues until frost. I like that the fuschia-red flowers of this cultivar are around from mid summer until frost. 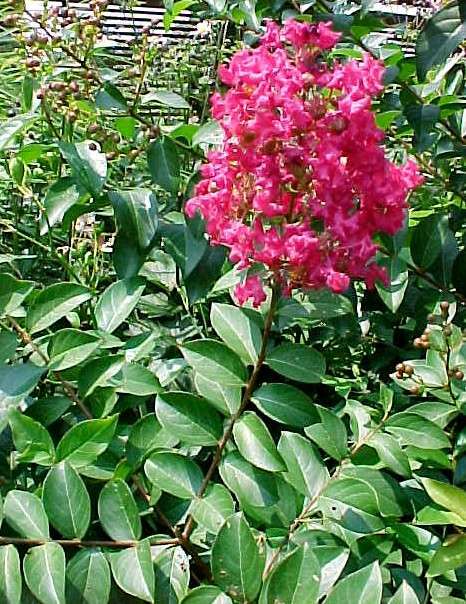 Cut back the crape myrtles each spring to allow for flowers to form on new growth. A good fall color is an asset. 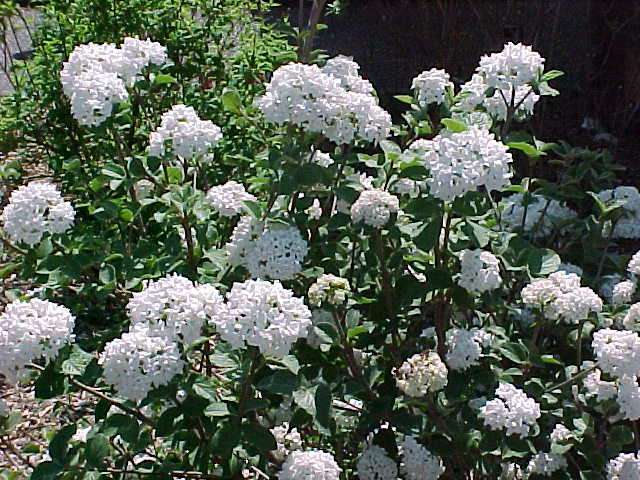 Place in a full-sun or perennial shrub border. The main feature is the golden foliage that is present when the plant is located in full sun. The small black fruit adds a fall interest. The plant can be an accent plant in the landscape. 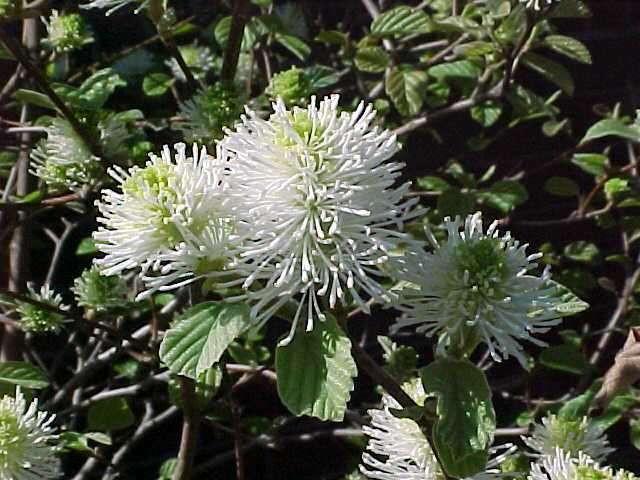 A great native shrub for your garden. The low maintenance characteristic of the spicebush highlights a naturalistic landscape. All parts of the plant are aromatic when crushed. 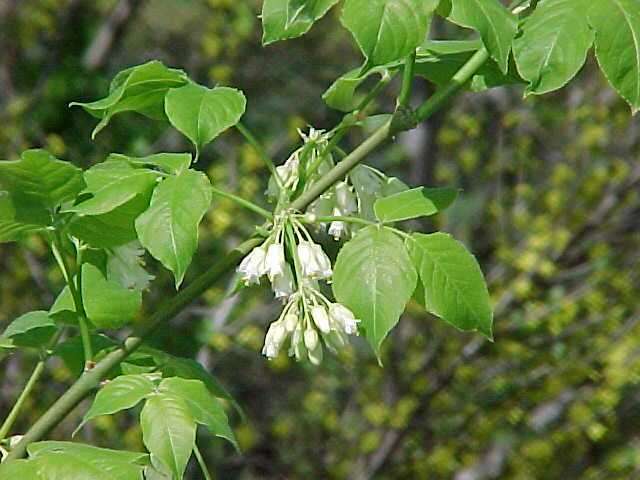 The fragrant flowers appear before the foliage. 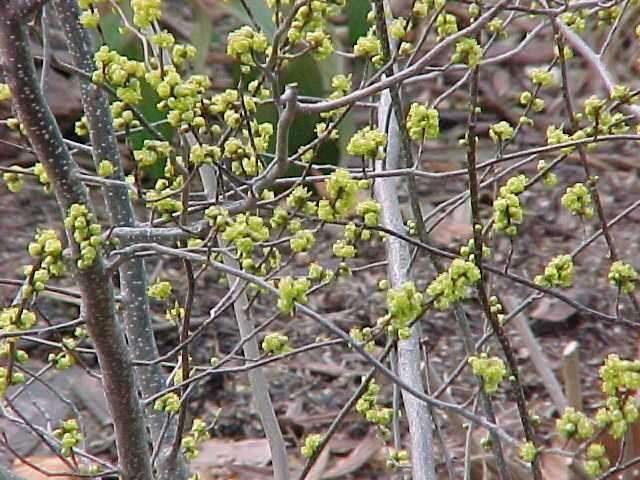 It is a true harbinger of spring as it flowers late February to early March, which is reason enough to plant it. Give it some room in the shrub border. 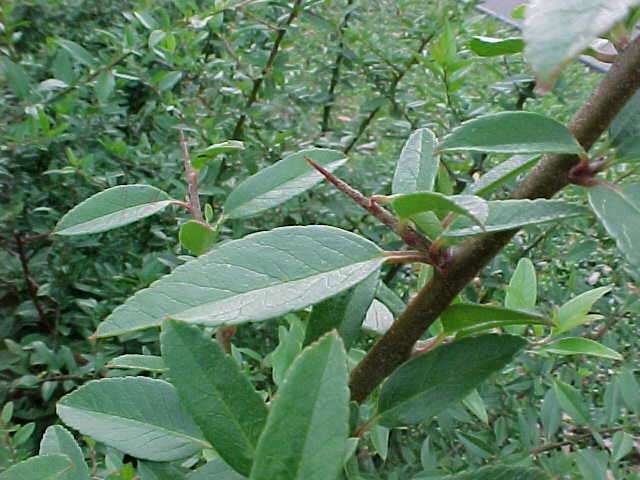 This shrub is trouble-free and requires little pruning. The gray, waxy berries add to the fall and winter interest. The plant is tolerant of roadside salt and poor soils. The canes of foliage make this plant appear like bamboo. I recommend that you place it in a protected area in the landscape. The new foliage emerges bronze to red in the spring. The leaves will persist if planted in a protected area. 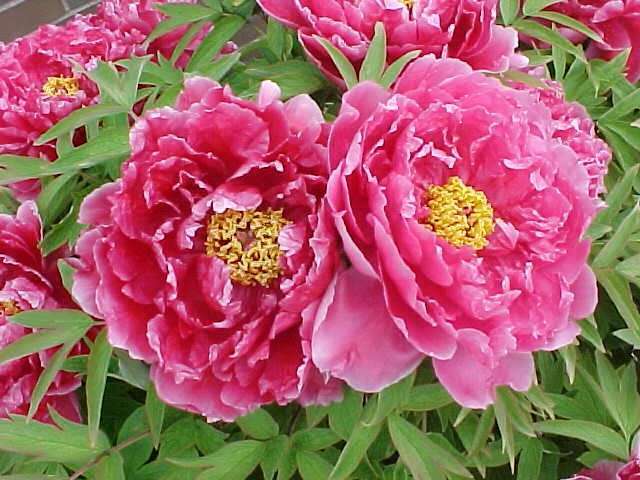 Tree peonies are actually shrubby plants. The deeply cut, gray-green foliage is attractive all season. Plant in a protected area. Seek out good quality cultivars for longevity. The small white flowers give way to orange berries. Semi-evergreen foliage. Use in full-sun locations where a dense, barrier is wanted. 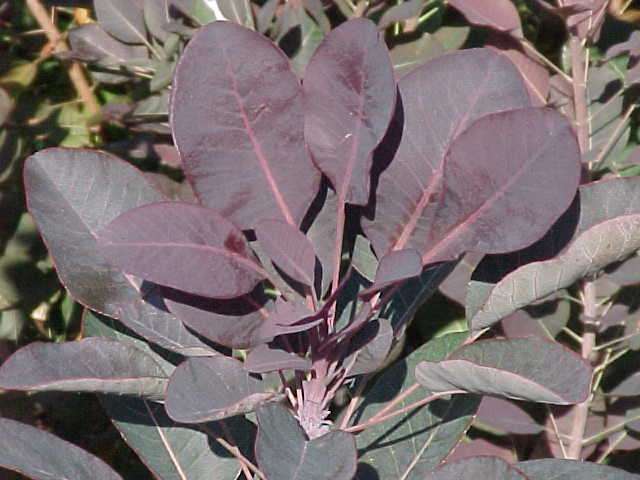 The flowers are rose colored followed by dark green summer foliage that is red-purple in fall. There is a slight fragrance to the 2-inch flowers. 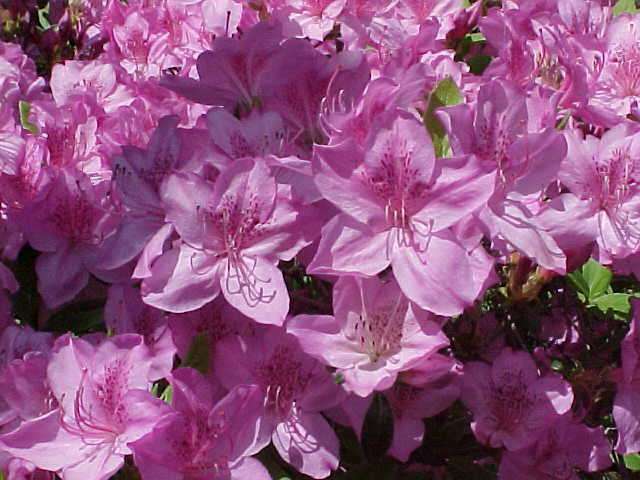 This is an extremely hardy azalea for the Midwest landscape. 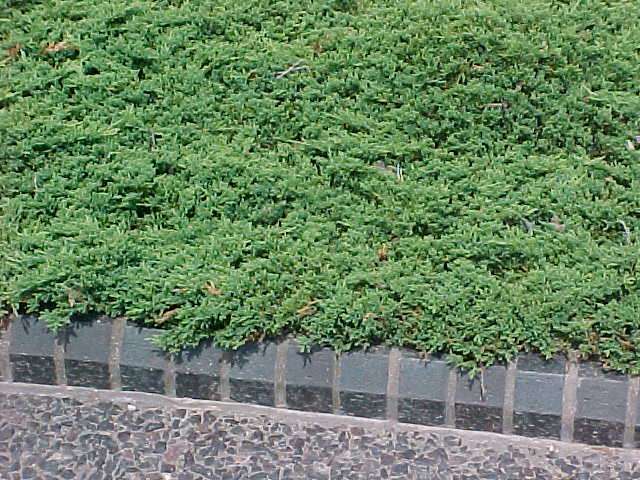 The species grows 4’ tall and provides large-scale groundcover addition to the landscape. The trifoliate leaves turn brilliant red in fall for added interest. 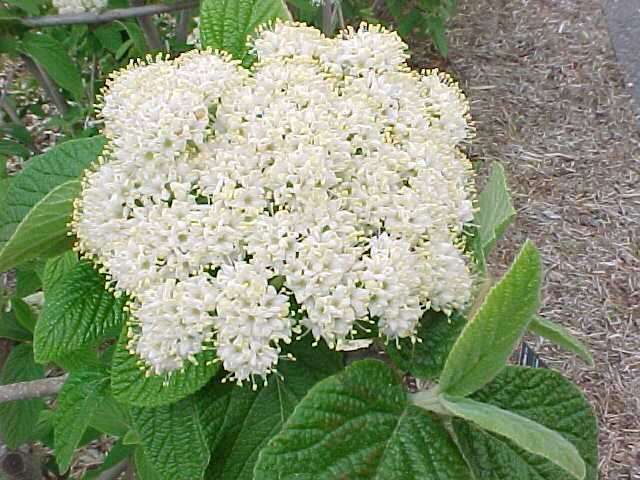 The native shrub is best used for a large naturalized setting. 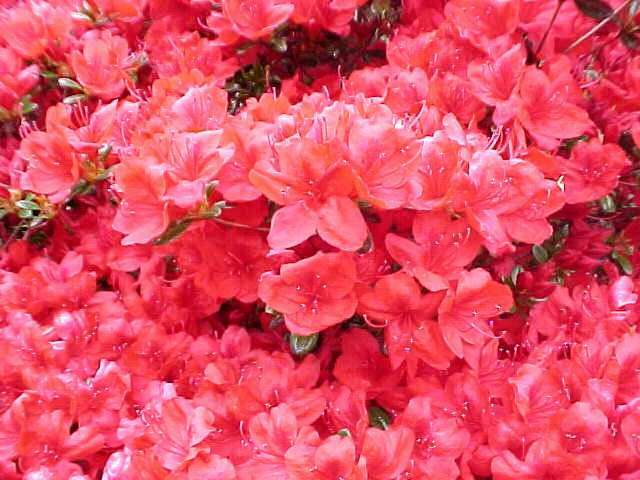 This cultivar is excellent to use as a mass planting in a groundcover situation. Full sun is required for the red fall color. Erosion control is one reason to use this cultivar. This species has smooth twigs and brighter fruit than R. typhina. It requires room in the landscape to form naturalized colonies. Excellent fall color. This cultivar has dissected foliage and needs large areas to accommodate its size. Select some root suckers and eliminate some to get the best colonization effect. Fall colors are excellent. Locate elderberry in a wet area. The yellow foliage is easily seen in the bright shade location. I find the graceful cut-leaf foliage is a real added bonus. 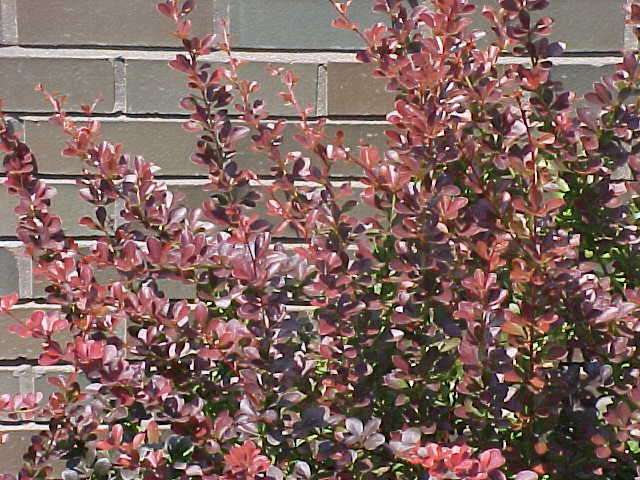 This dense, summer-blooming shrub has green foliage that turns deep red in fall. It has a compact form in the landscape that blooms best in full sun. A very nice small shrub. 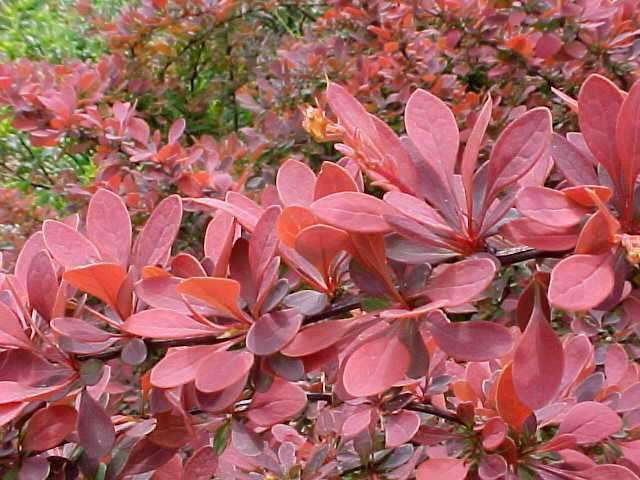 Full sun will provide the new foliage a reddish-tinge in early spring. 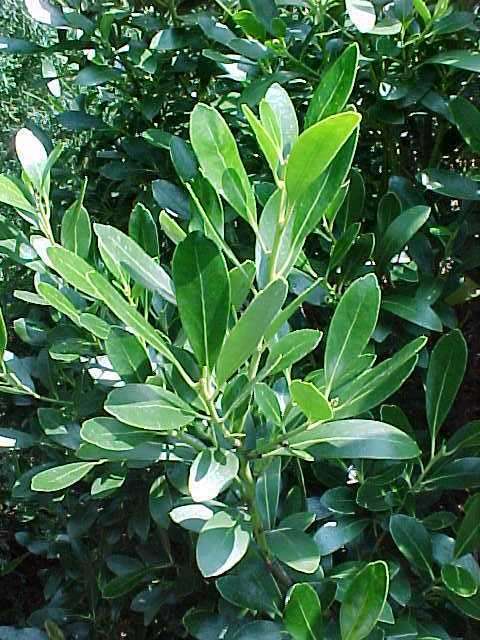 Lemon-yellow foliage follows up during the summer and turns lime-green in the landscape. All wrapped up in a neat mounding habit--a winner in my book. 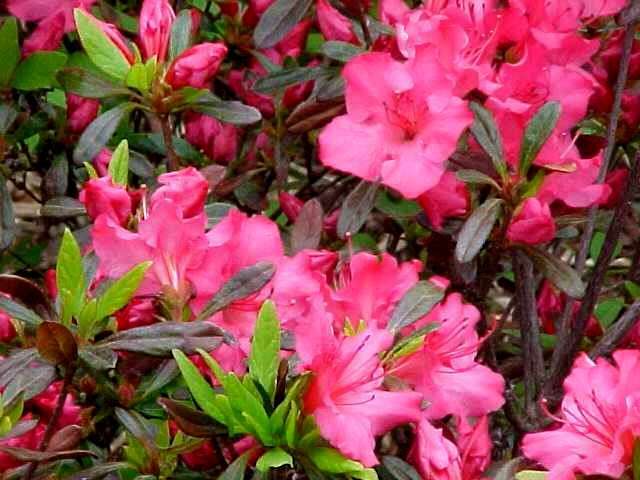 This cultivar is larger than 'Little Princess' in the landscape but still very useful and attractive. These summer-flowering spireas are carefree. 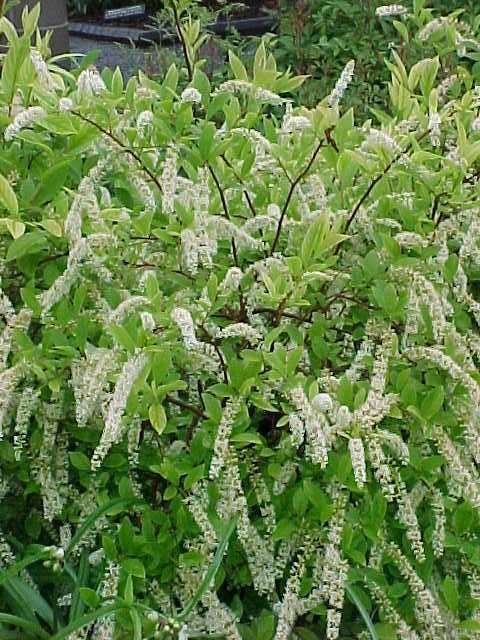 This spirea flowers earlier than the japonica cultivars. 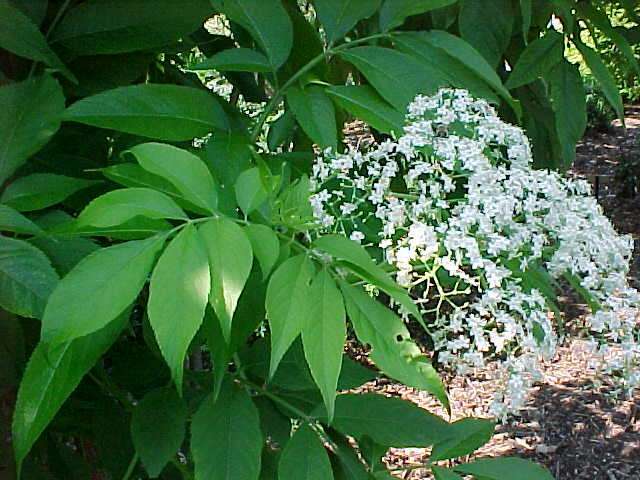 The white flowers are umbel-like and appear on upright, spreading foliage. The clean foliage is highly desired. This is a neat compact form and extremely floriferous. 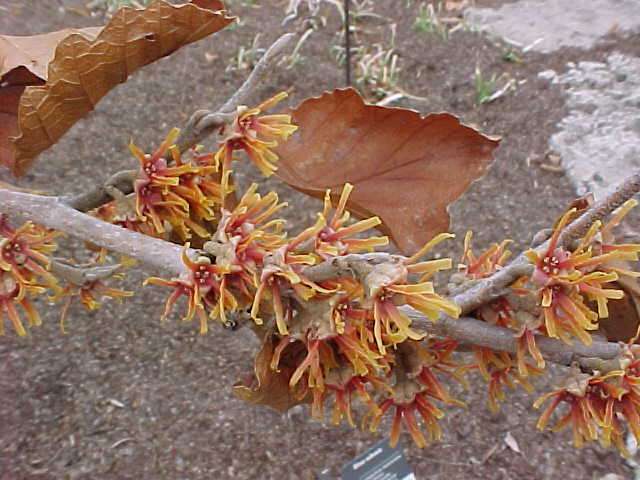 The American bladdernut is great to use in your shade garden. 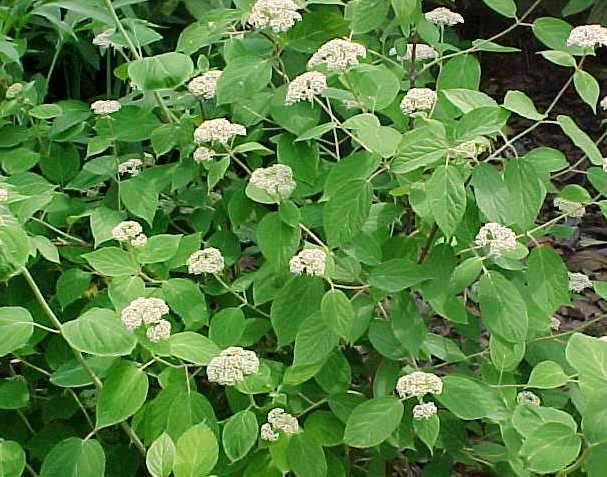 It is a native plant perfect for a dry location in a woodlawn garden. This is an outstanding selection to use in the landscape in a sunny location. The arching habit is great for groundcover, massing sites. 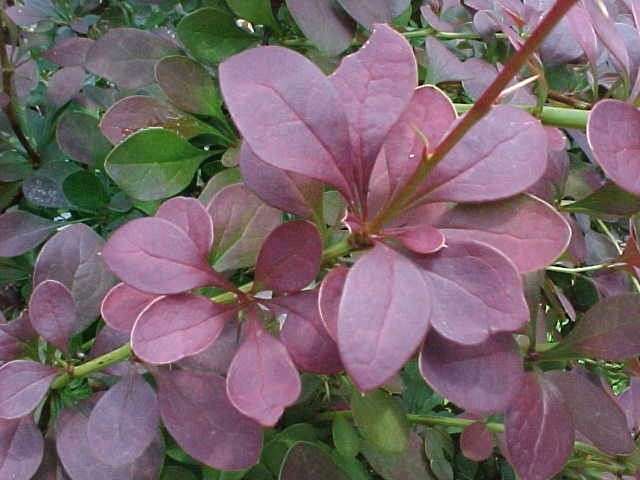 This selection is compact and the foliage turns a dull-purple in fall. The pale purple panicle flowers are welcomed in spring. The foliage does not get powdery mildew, which is a real asset. Place in full sun in a shrub border. This spring selection has double deep red-purple flowers. 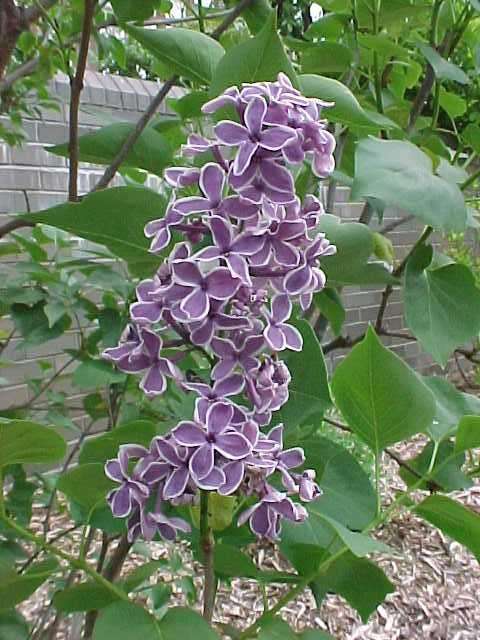 The lilacs play an important role in a full sun border. This selection needs room to develop. This selection from the 1930’s has deep red-purple flowers with clear white petal margins. This is considered an heirloom plant in your garden and is an asset in the full-sun border. 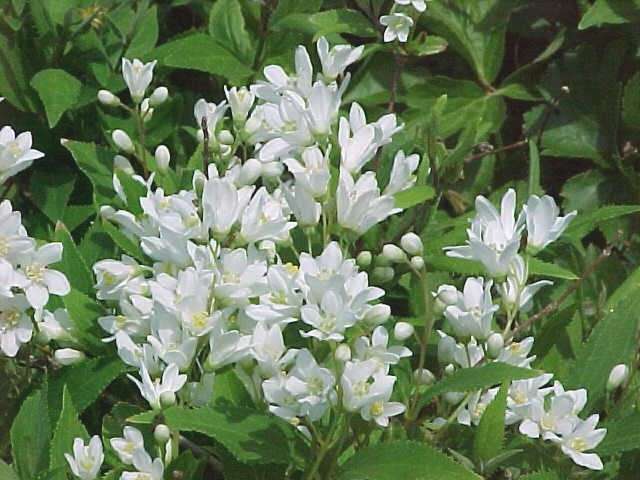 These fragrant flowers are a must for the garden. The clove-like pink buds open to white flowers thus giving a two-toned flower. The 5’ height gives a mid-size superior plant for the landscape. This is a compact form that can fill a space unique to its size. The fragrance of the flowers is best enjoyed by a patio or window. This is one of the most trouble-free of the viburnums. 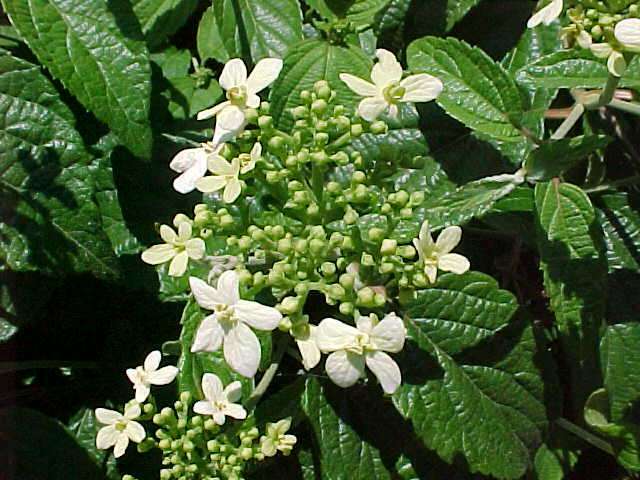 This native viburnum can be used in the shrub border or as a hedge. The fruits are edible by the wildlife. 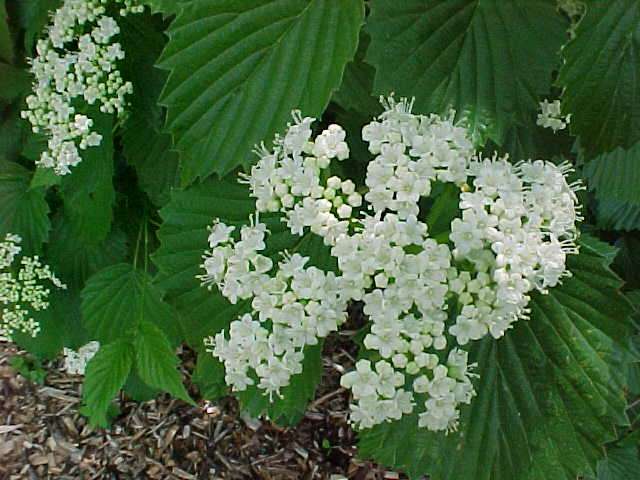 It is one of the viburnums to use in a woodland garden. The metallic blue fruits are a standout feature. I find it grows well in either sun or shade. This is an outstanding cultivar. 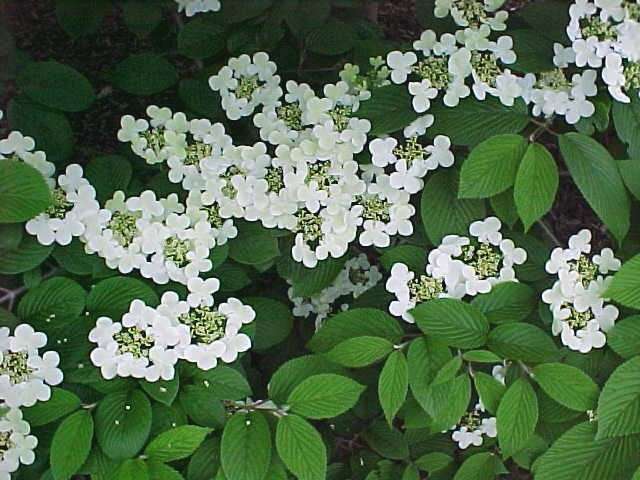 This is a native viburnum that attains a tree height in the landscape so site it appropriately. 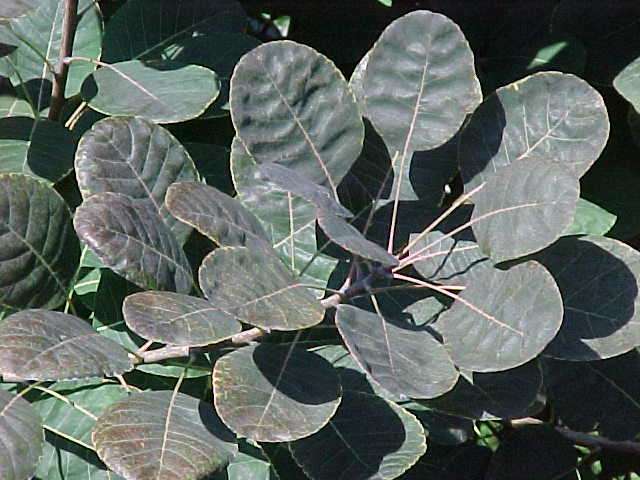 It has glossy, red foliage in the fall. The fruits are highly sought after by birds. I find that the horizontal form of this viburnum is best suited at building corners to contrast with the vertical building lines. Give plenty of room for this graceful branching habit. 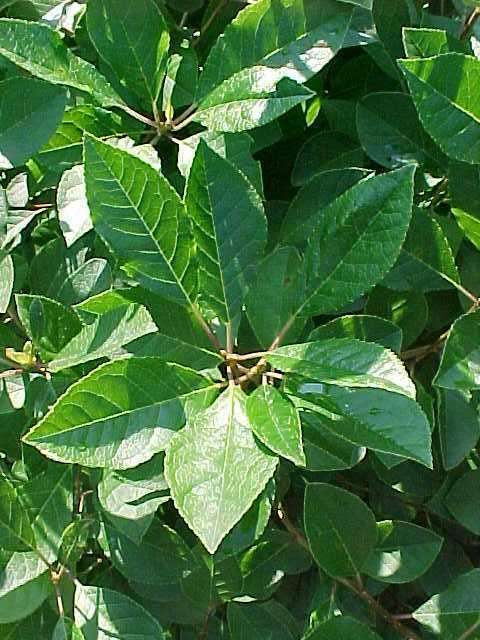 A single plant or use as a hedge. 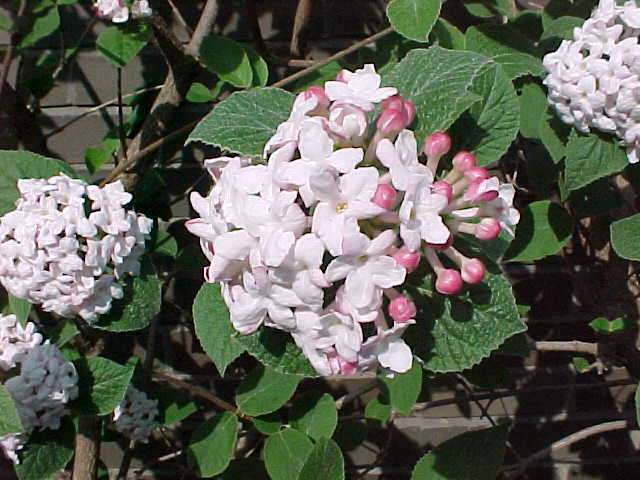 This flowering viburnum is noted for its repeated flowering from spring through summer. It has an upright habit and can find a good use in the full sun border. This can be a small specimen tree in the landscape. The shiny, green foliage turns deep purple to scarlet in fall and the accompanying blue-black fruit is a wildlife magnet. It needs room in the landscape to use as a single tree or as a hedge. The foliage is semi-evergreen in the Midwest. This matures at 8’ to 10’ so allow plenty of room for this plant in full sun. It can be used as a hedge if given sufficient room. 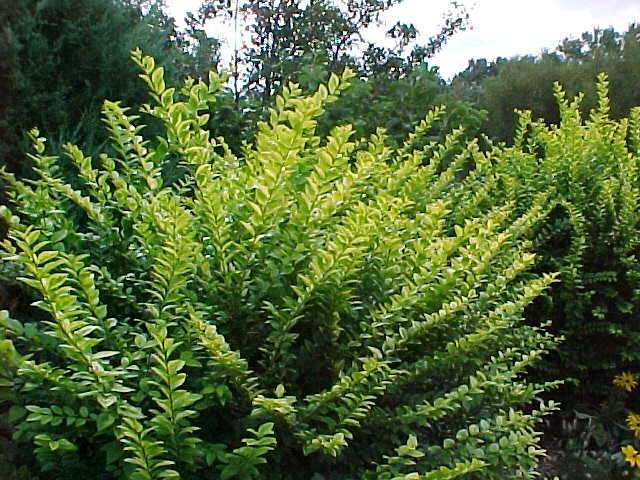 A very good choice for a golden-yellow evergreen that will become a specimen plant in the landscape. Put it in full sun for best results. 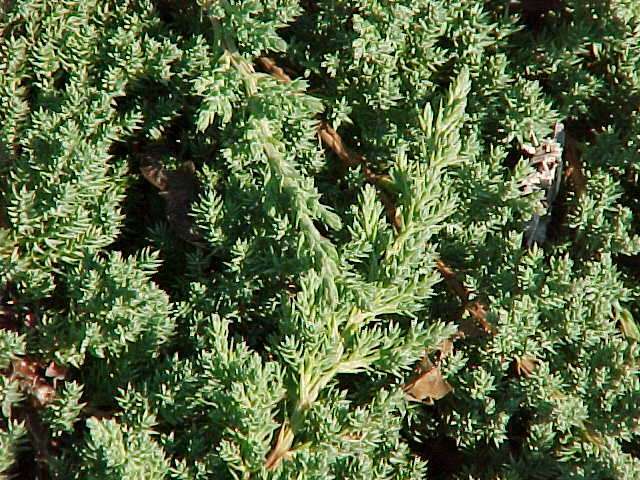 A good choice for an evergreen juniper that provides a low, mat-forming groundcover in full sun. This cultivar is extremely hardy grown in full sun and is adaptable to dry area location. This juniper provides a slight mounding habit in full sun locations. It does not brown out in the landscape, which makes it valuable in my designs. The green foliage stays a good color all season long. I like this plant's excellent blue foliage, which adds to the landscape color scheme. The foliage is dense in the 3’-tall plants. It does best in full sun and dry areas of the landscape. 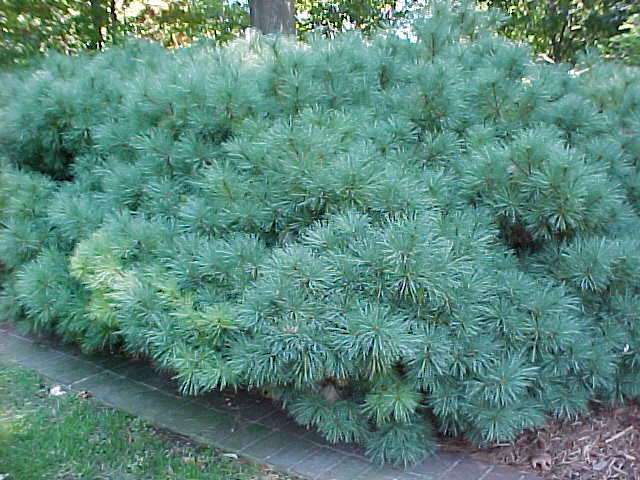 A good choice for a neat, 4’ spreading, blue foliage juniper that has medium height in the landscape. The soft feathery foliage is excellent. 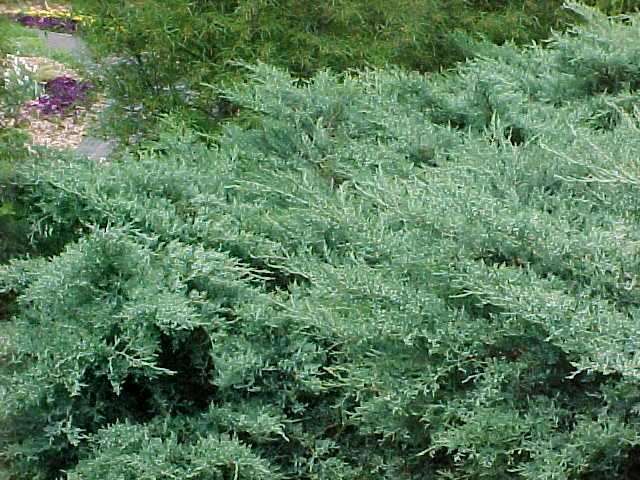 This mid-size juniper is a background for many deciduous shrubs. 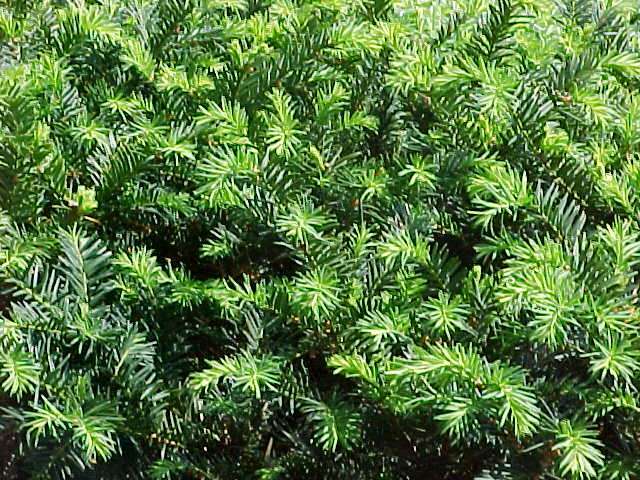 This juniper has green fountain-like foliage. I like to use the feathery, dark green foliage as screening and background for other deciduous plant material in the landscape. 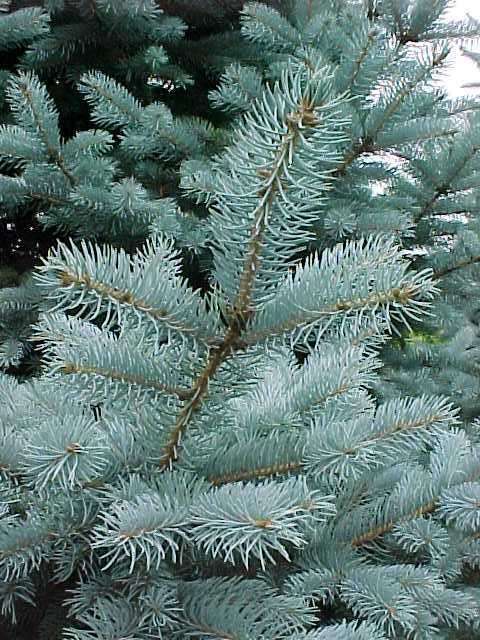 A great blue 12- to 15-foot tall evergreen tree for the landscape. The rigid, incurved prickly foliage provides a nesting site for our feathered friends. Great for full sun areas. The tight pyramidal shape is a strong accent. Its small size is a big asset in many locations. 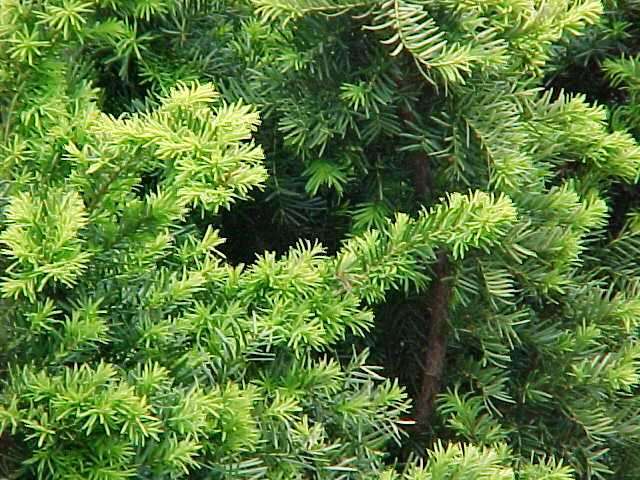 I like to use this dwarf conifer to provide a reliable, evergreen, green color to the landscape. The soft needles add a texture element to the landscape. Gives a nice winter character to the landscape. This is a very good dwarf conifer for the landscape scene. 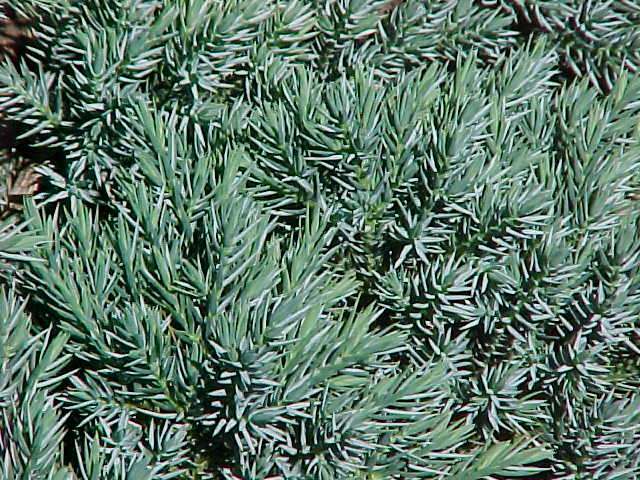 It has short, bluish needles and remains mounding, 3’ to 5’ height. Provide full sun and dry area for best results. This is a fairly fast growing yew, yet compact form for the landscape. 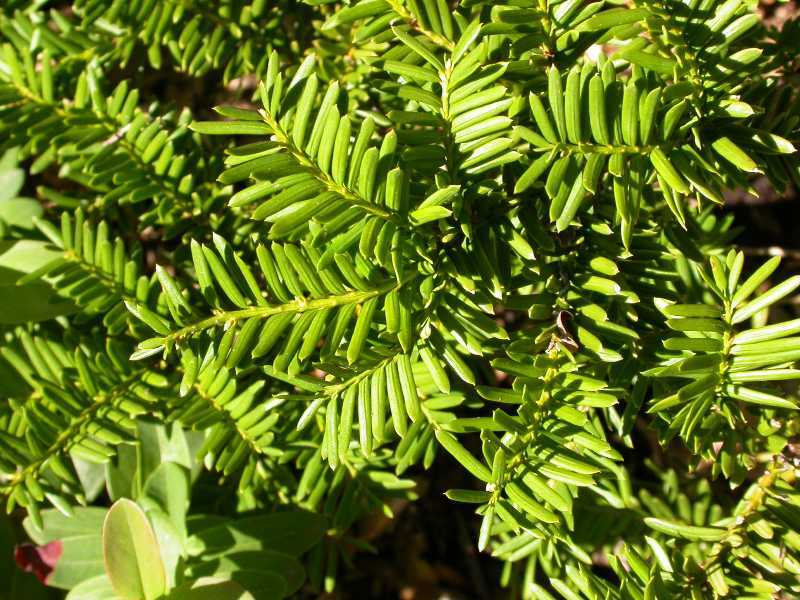 Easily pruned and provides a hardy evergreen plant for our winters. I use it often in my designs. 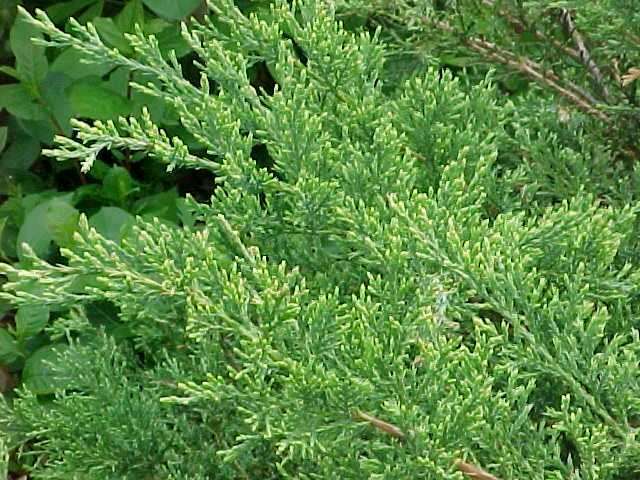 This evergreen yew is low growing, with a low mounding habit. The branches provide an arching habit. I like to use it for a foundation planting since the height is 3’ to 4’ and spreading. The upright and columnar habit is great to use for screens and hedges but not as good as 'Densiformis' for a foundation planting. It can attain 8’ heights in the Midwest. This cultivar has darker green foliage and is rather wide spreading in the landscape. I use it to provide an evergreen, dark contrast in the yard to highlight deciduous plants. 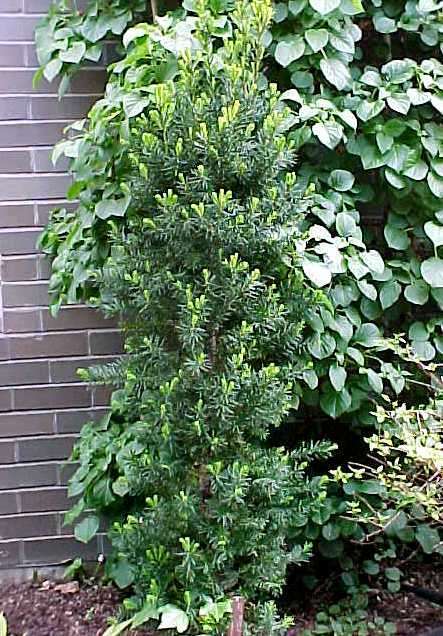 This medium green yew is extremely narrow so it can be used in tight locations in the landscape. No area is too small for this narrow delight in the landscape. It has gotten me out of many design tight spots. 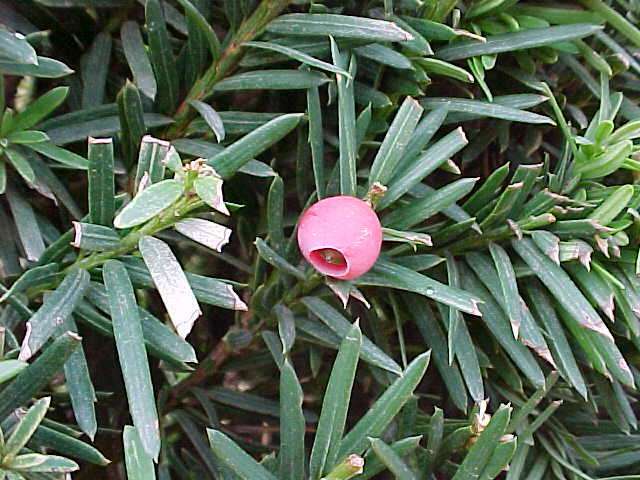 This yew is noted for its winter hardiness and wide spreading shape. 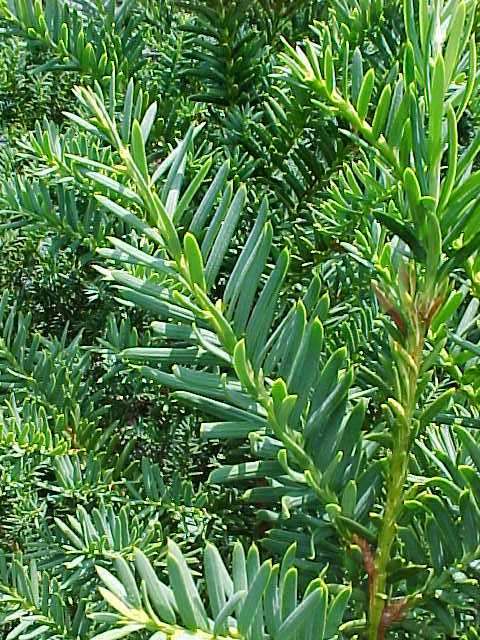 Provide a wide area for this yew to spread to its full potential. This spiral evergreen arborvitae should be used as a specimen plant in the landscape. Provide excellent drainage and full sun for best results. 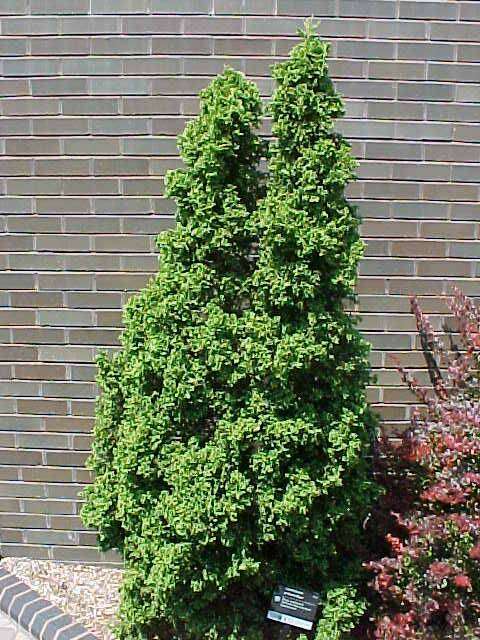 This arborvitae is globose in shape and makes neat, small rounded forms in the landscape. Provide full sun and dry locations for best results. This hemlock needs to be in shaded locations. Provide moist growing conditions. The soft texture provided by hemlocks is a treat for the landscape. The pendulous form this plant takes adds an architectural shape in the landscape. 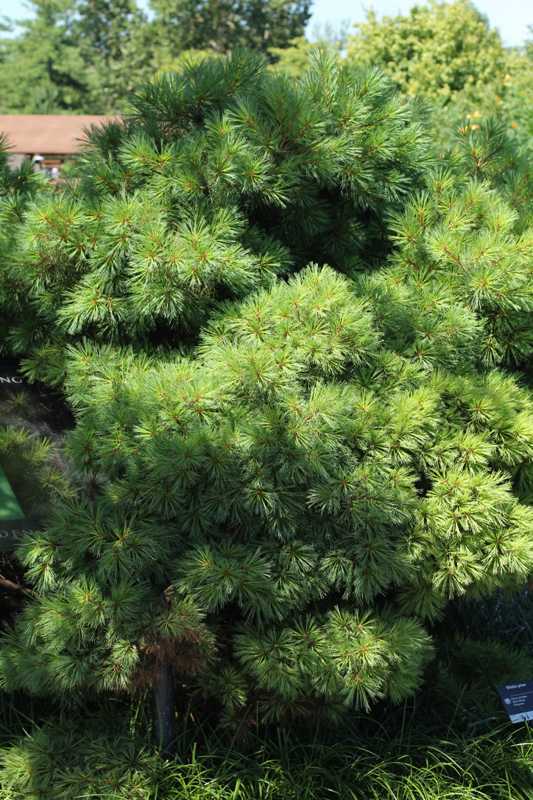 This is one of the most striking evergreen forms.